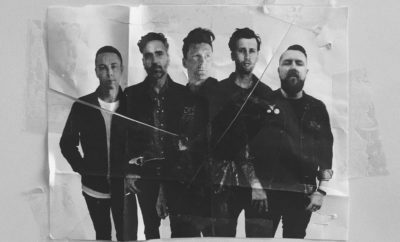 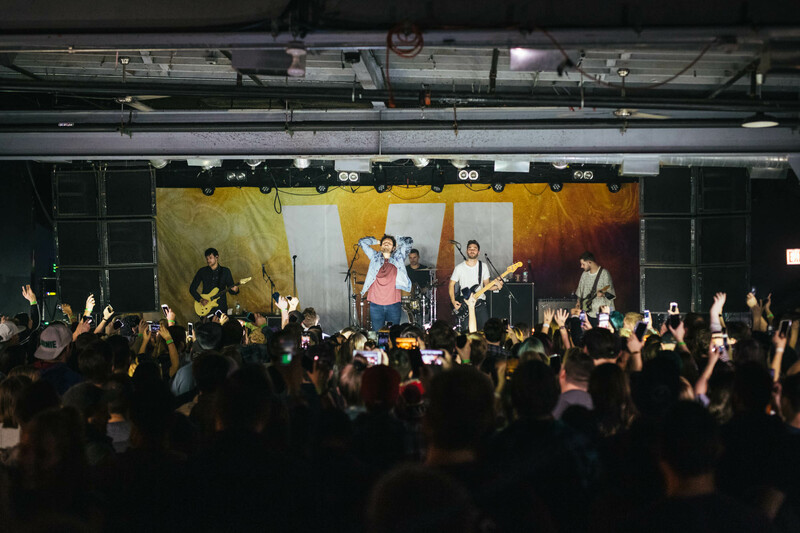 It’s been quite some time since the English rock band, You Me At Six, has graced the city of Chicago. 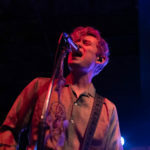 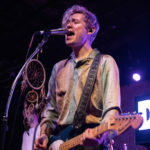 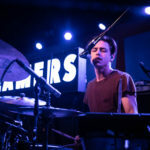 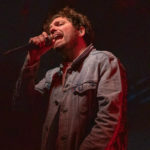 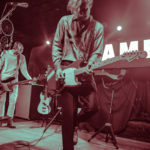 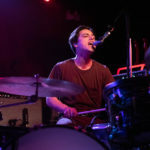 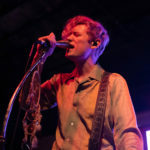 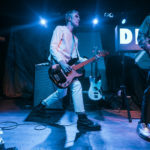 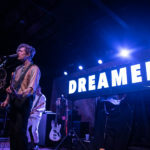 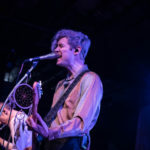 It was obvious that Chicago had missed them deeply as fans cheered, sang their lyrics right back to them, and danced throughout their set; but more about that in a minute. 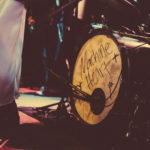 YMAS brought two incredible bands with them on this run; Machineheart and Dreamers. 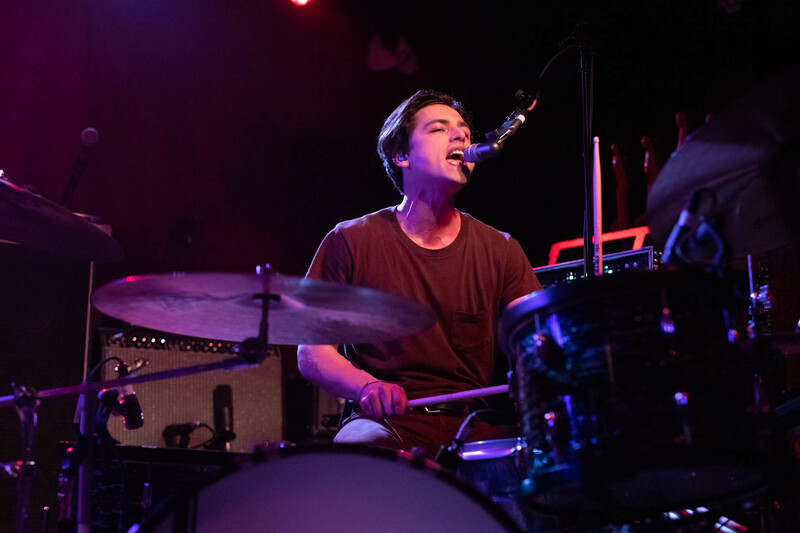 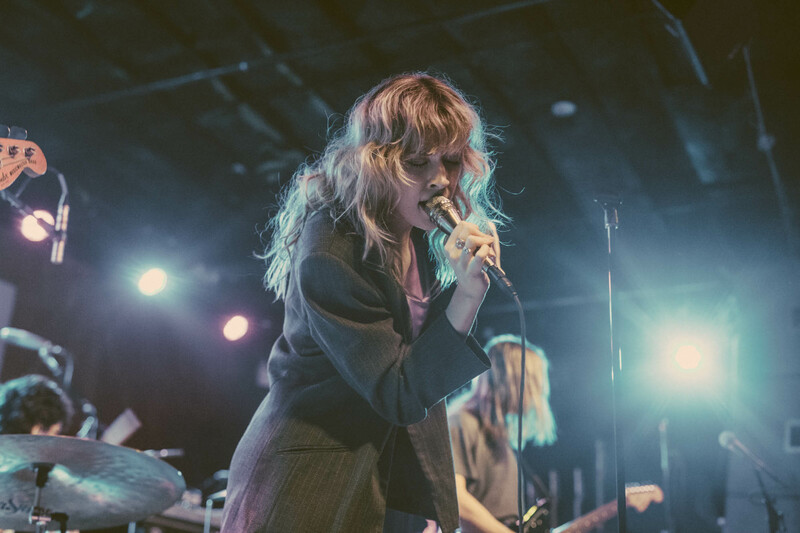 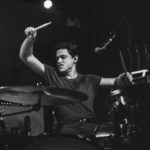 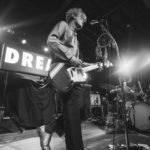 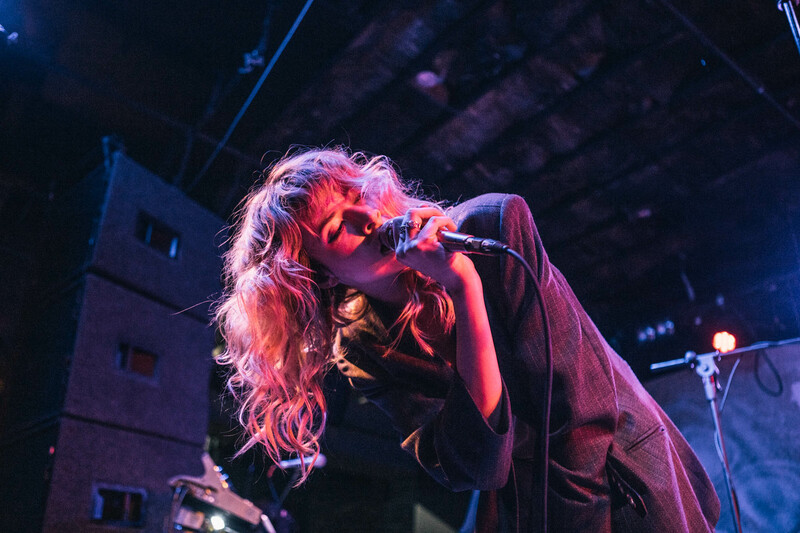 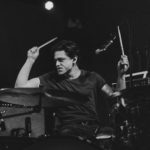 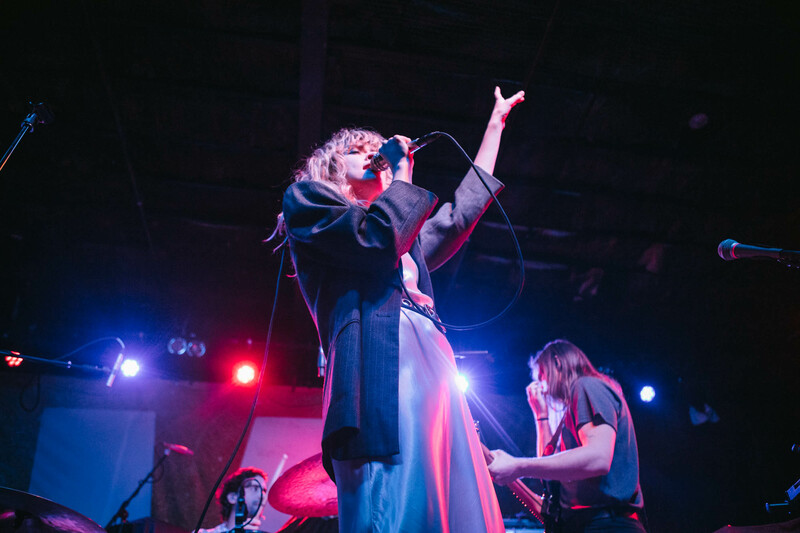 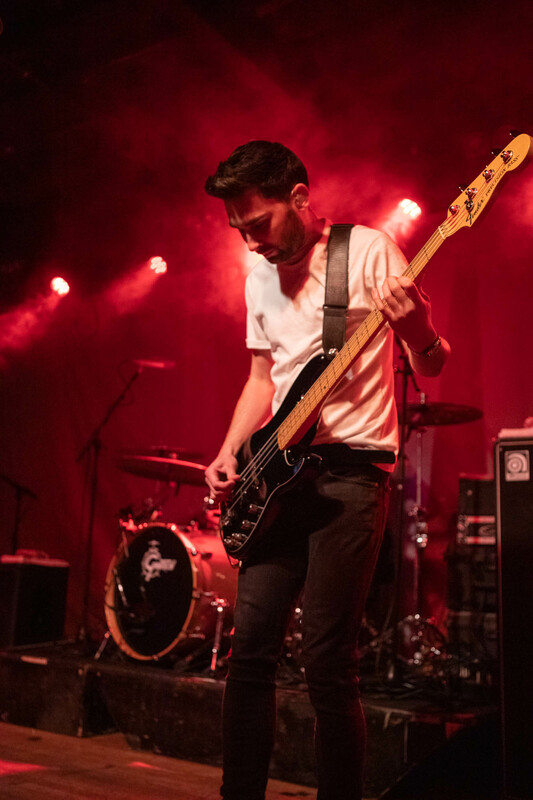 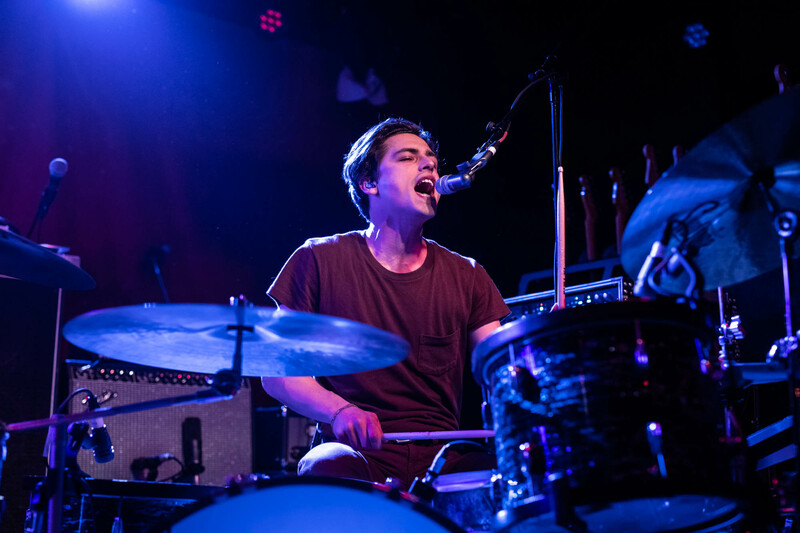 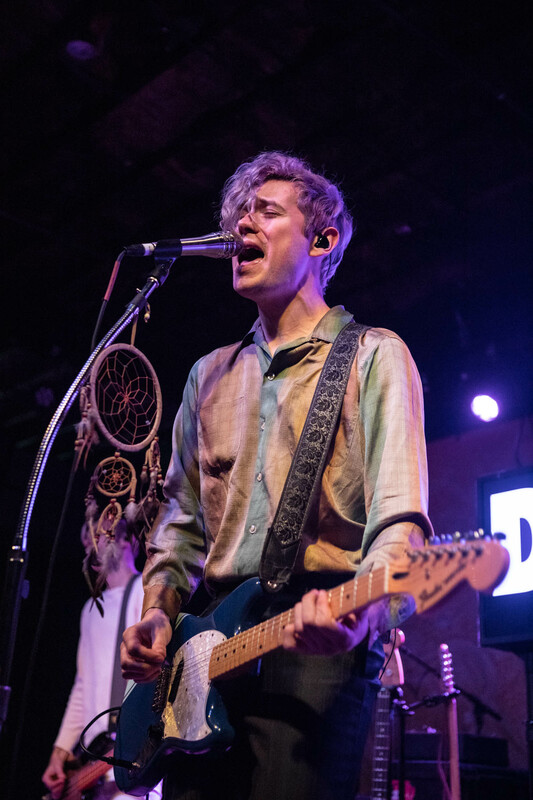 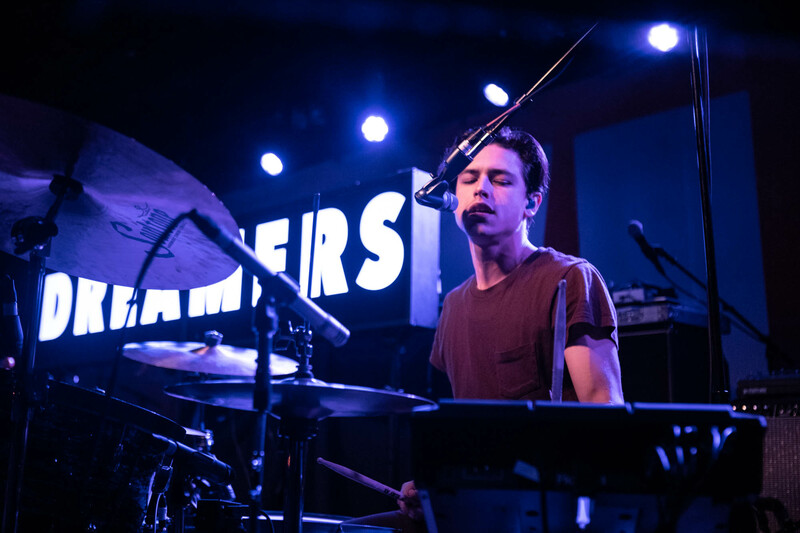 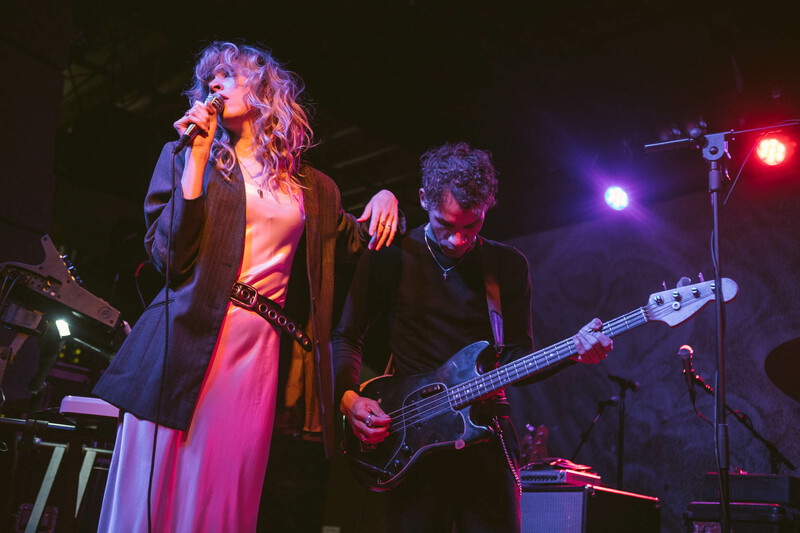 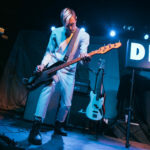 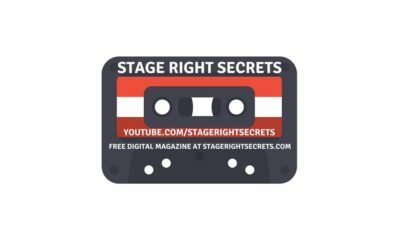 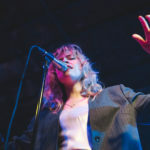 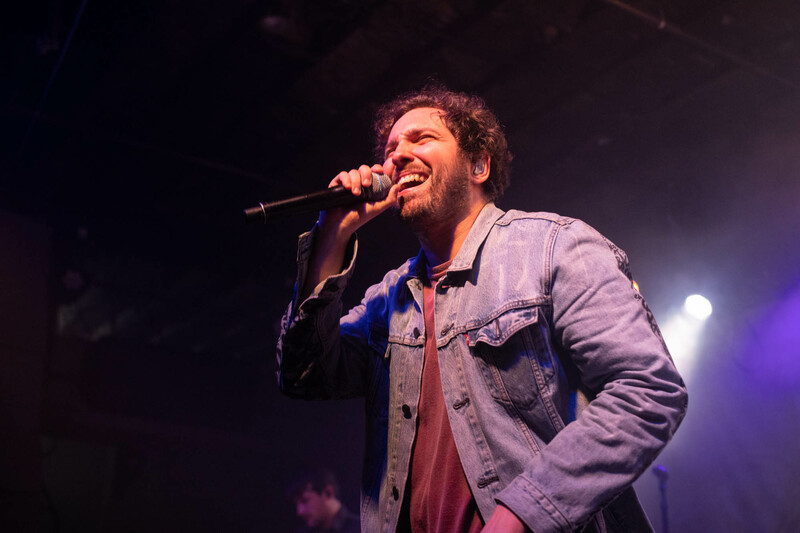 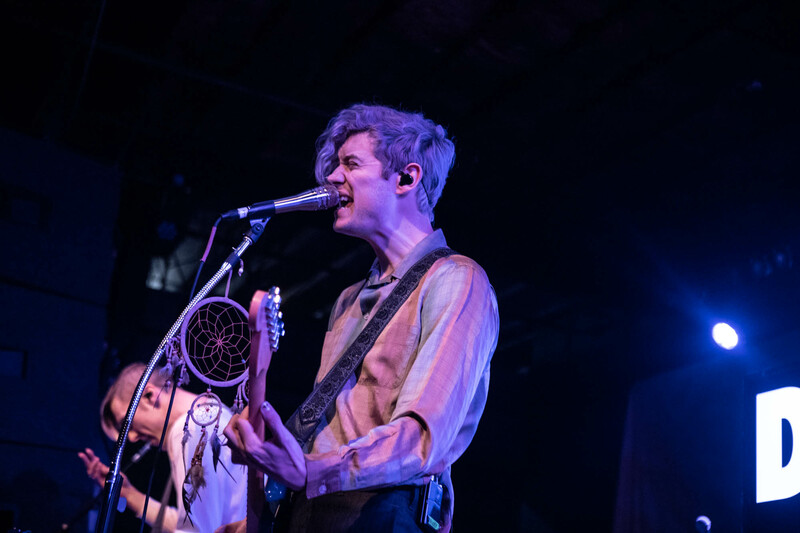 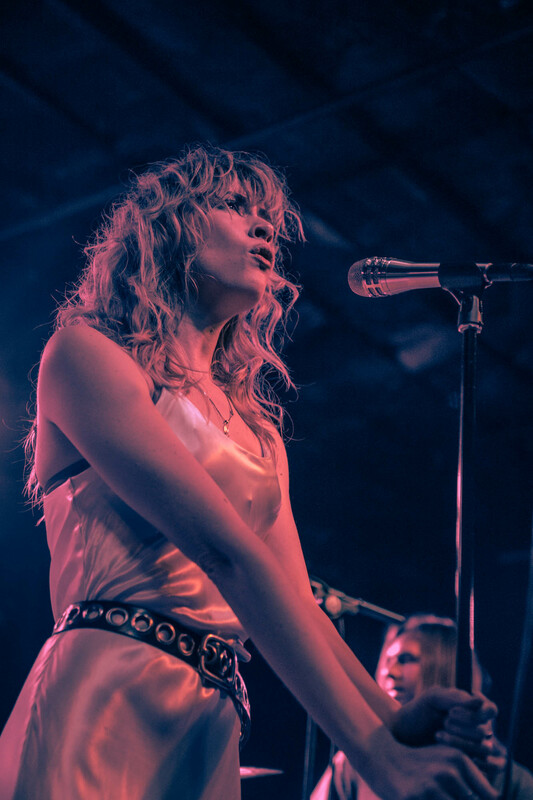 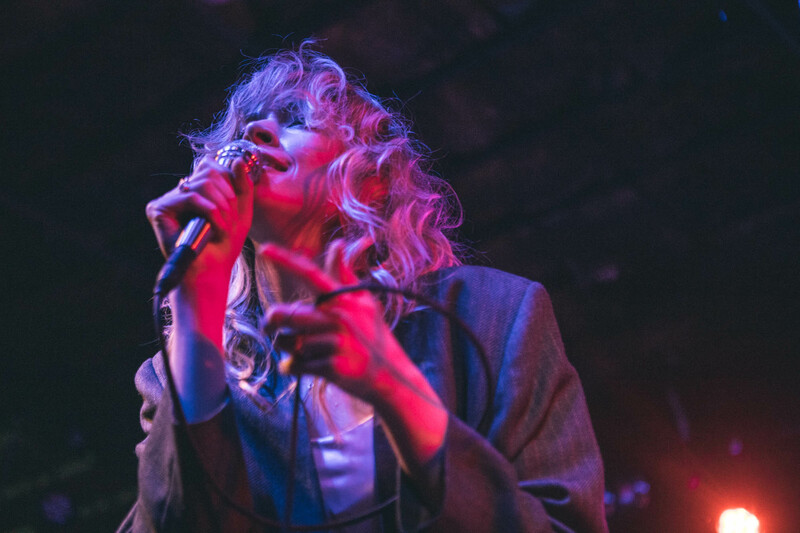 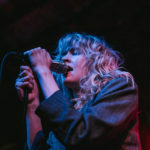 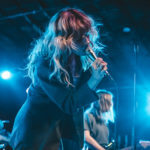 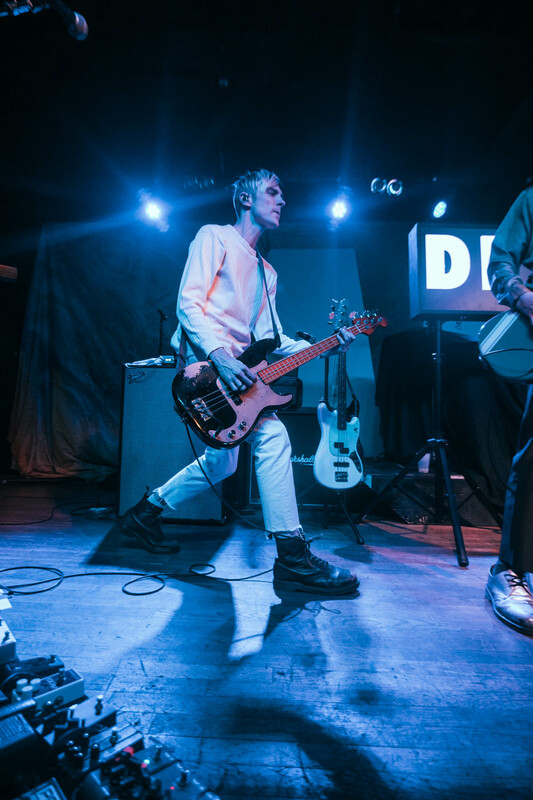 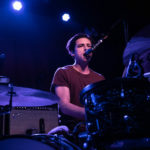 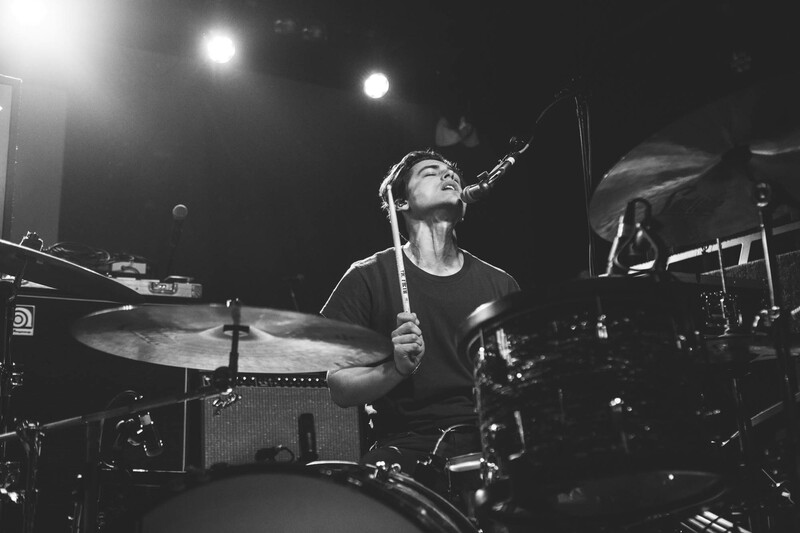 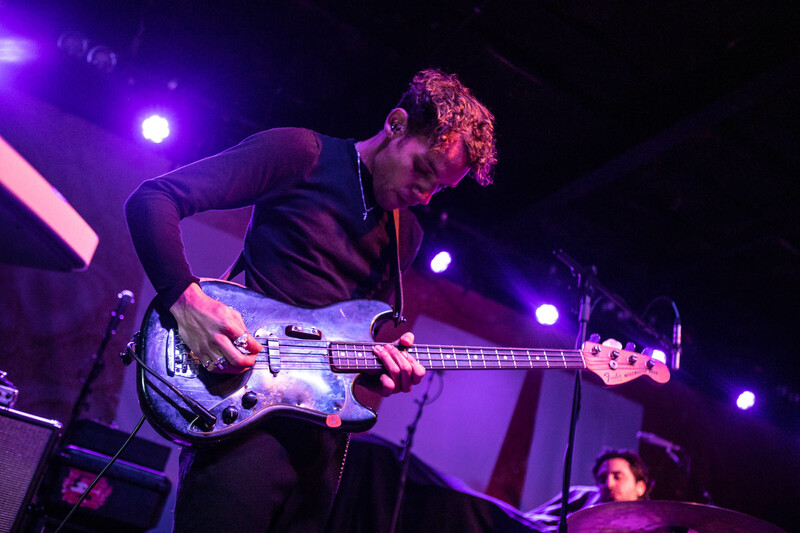 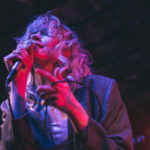 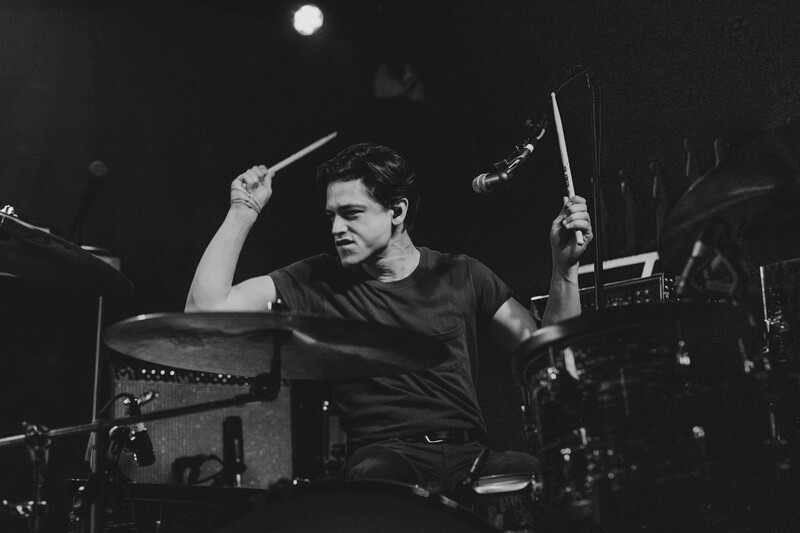 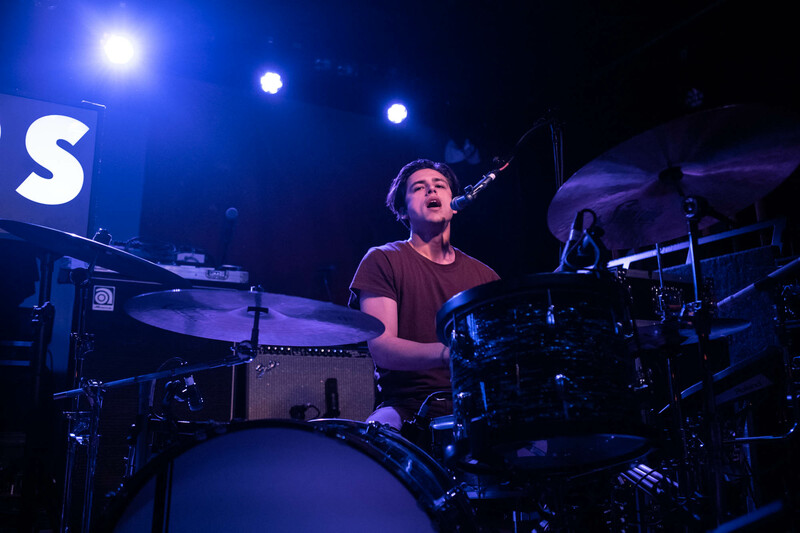 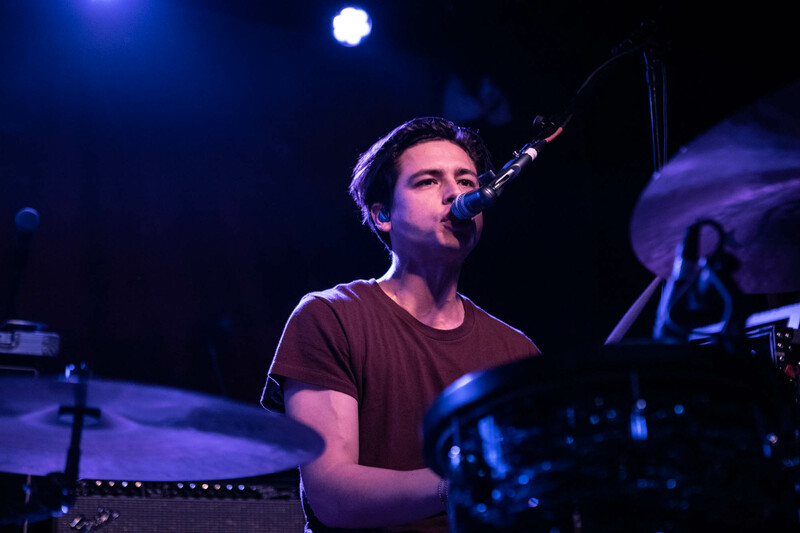 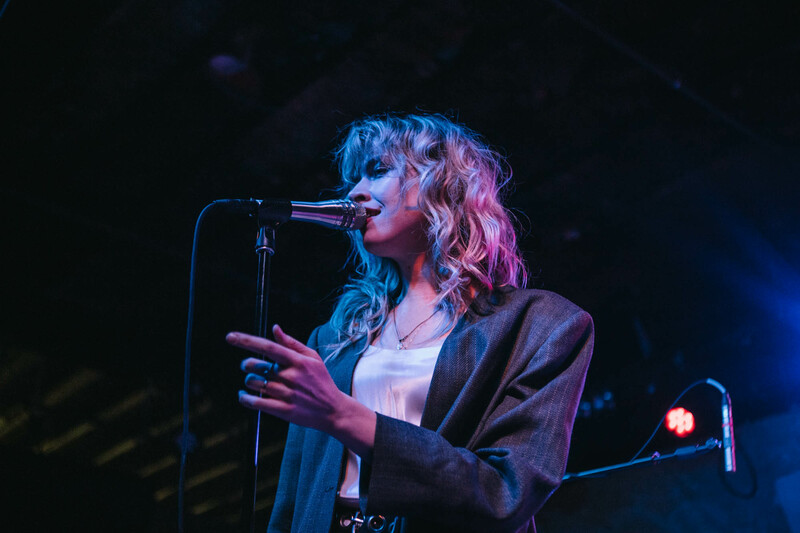 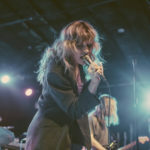 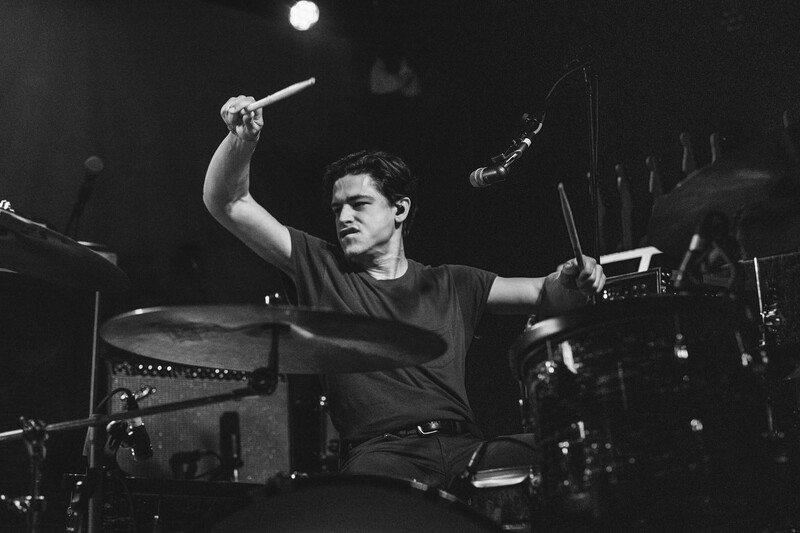 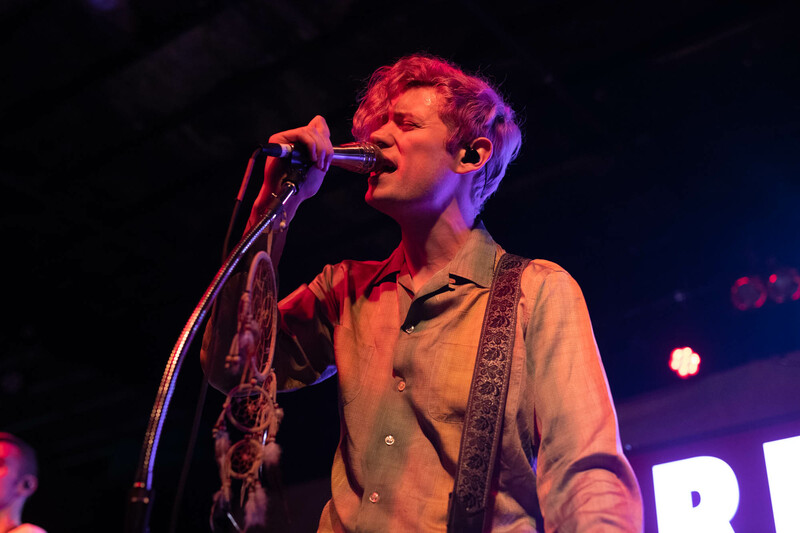 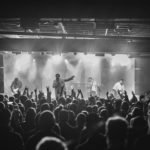 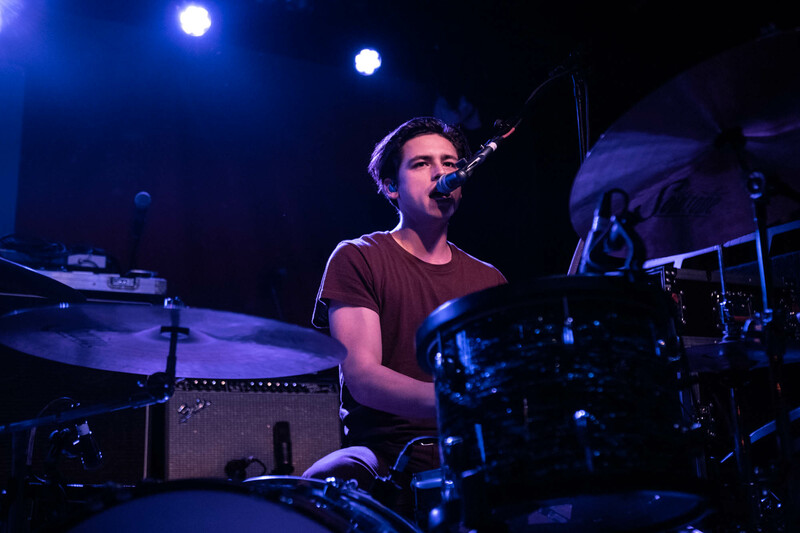 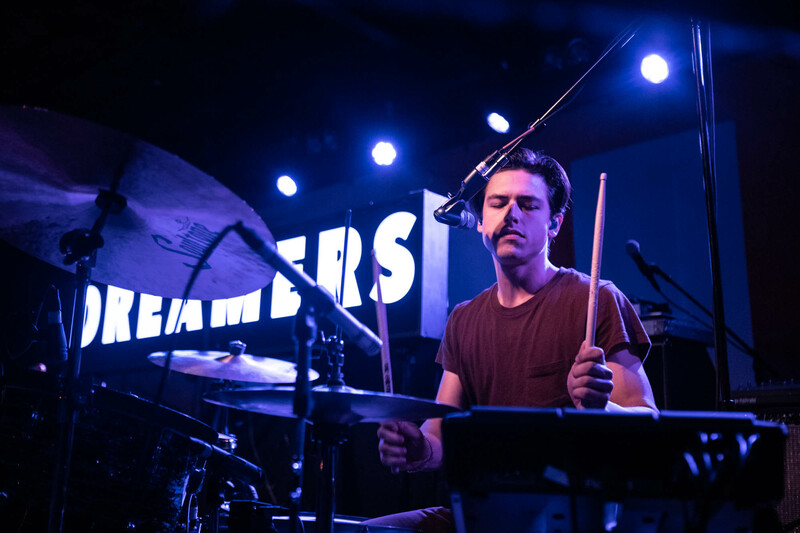 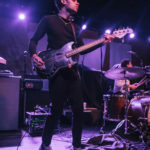 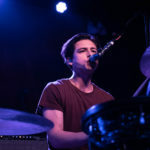 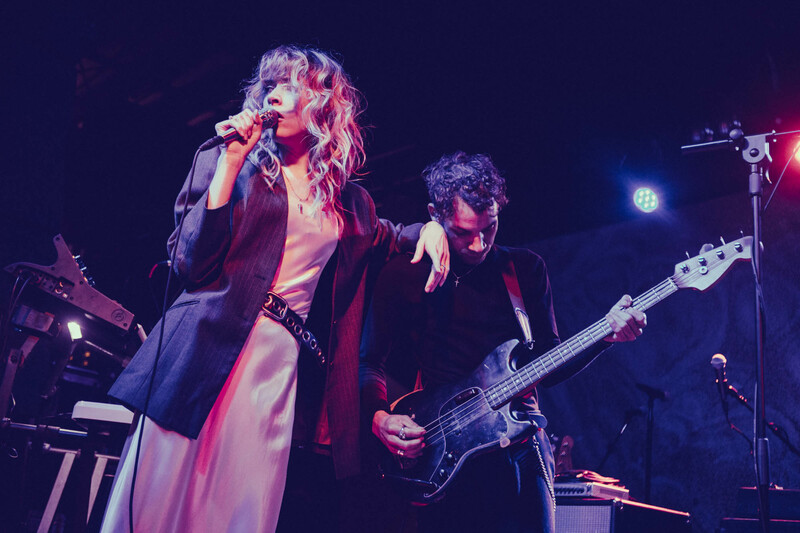 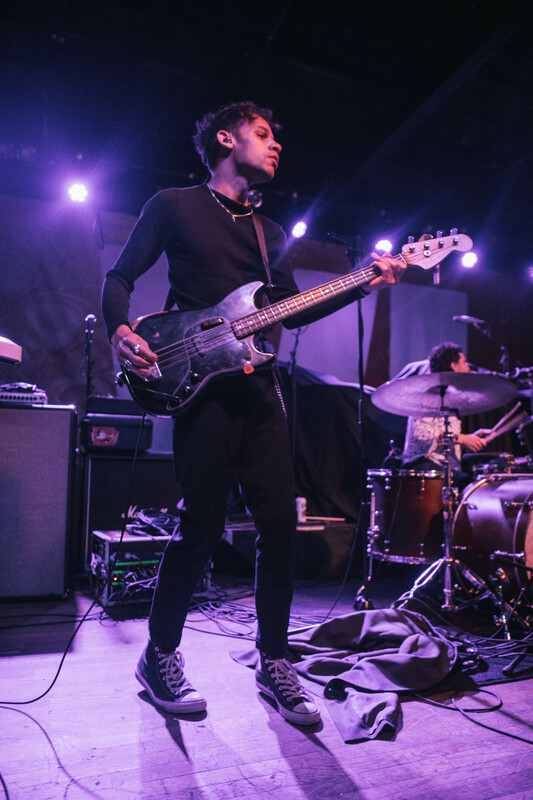 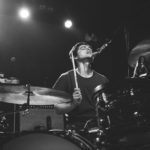 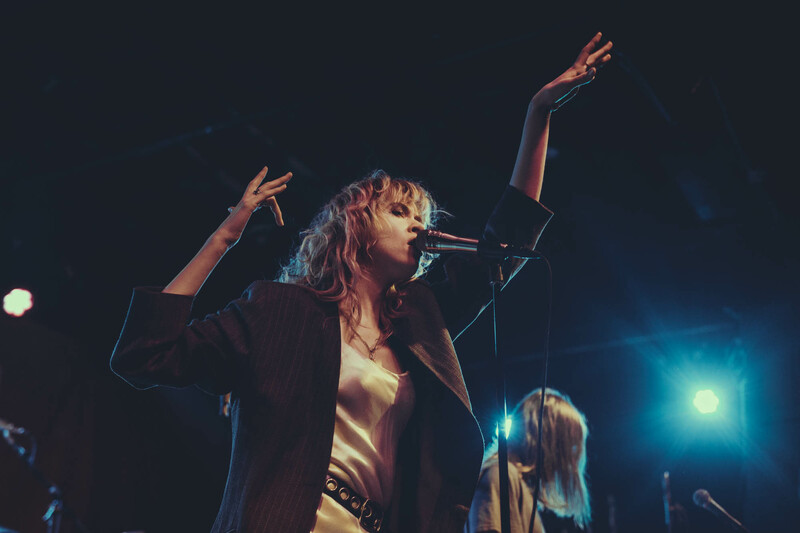 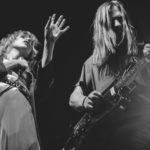 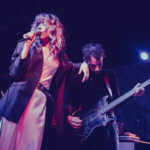 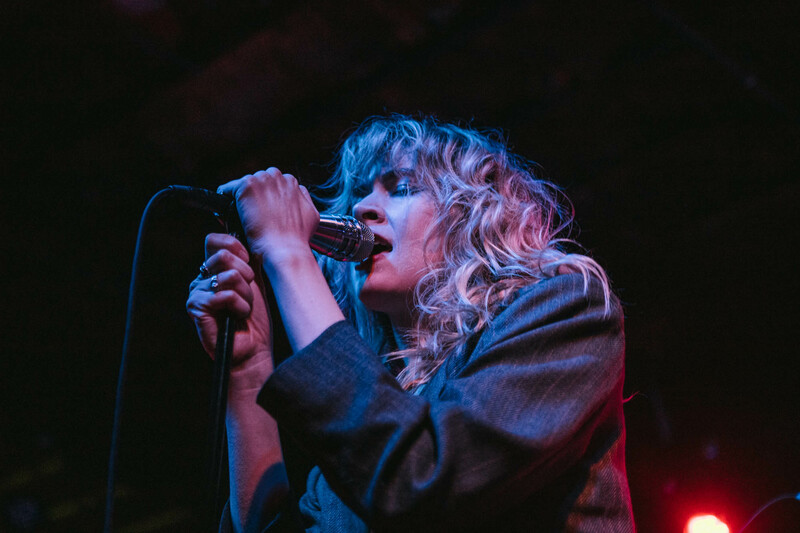 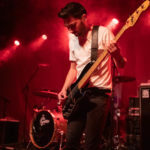 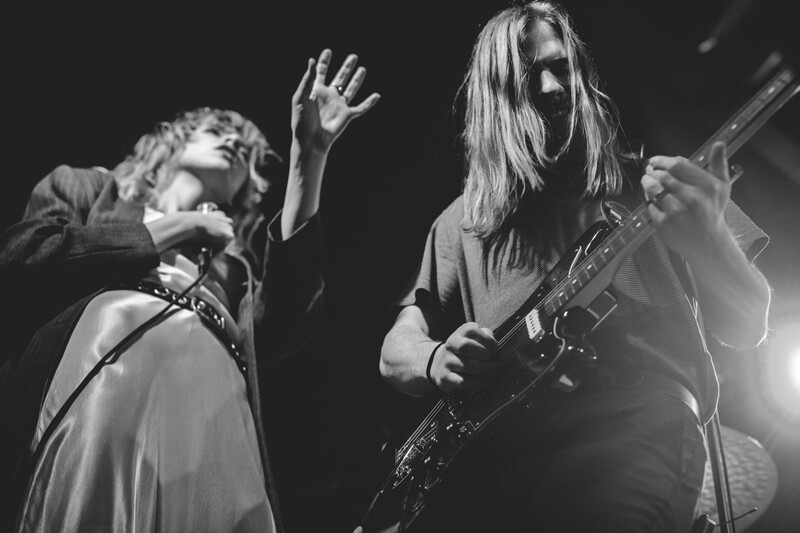 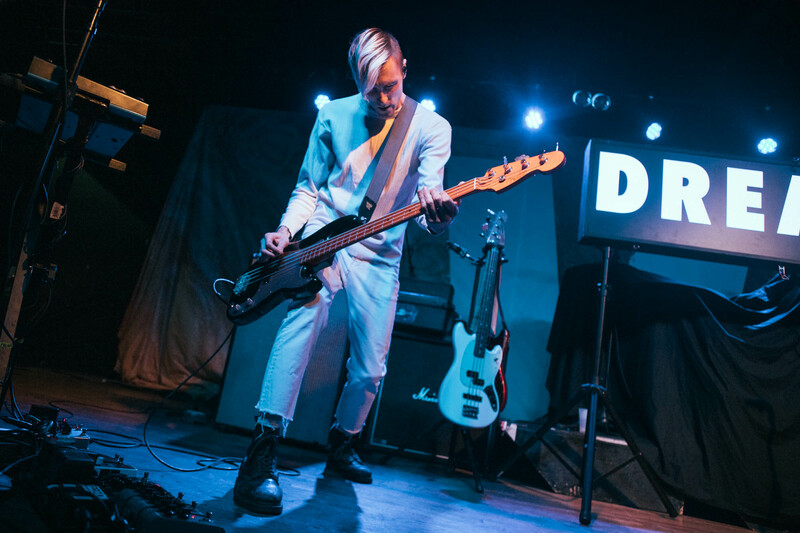 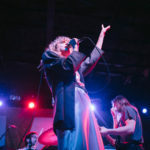 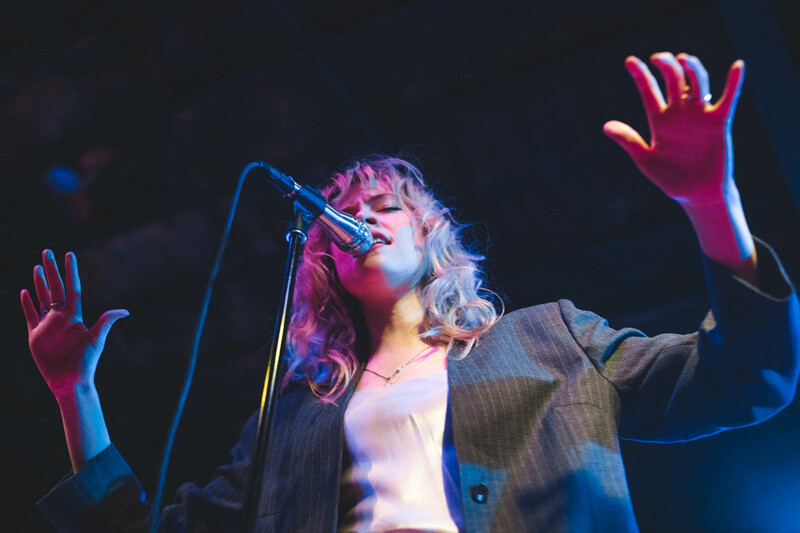 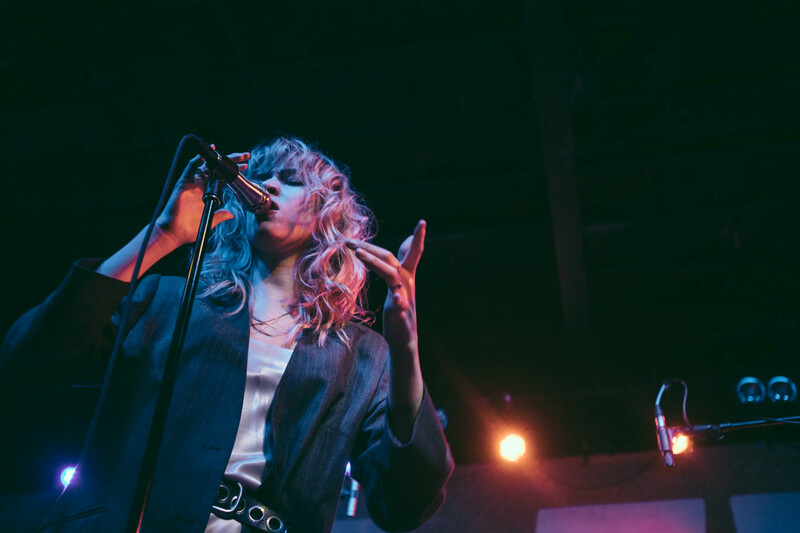 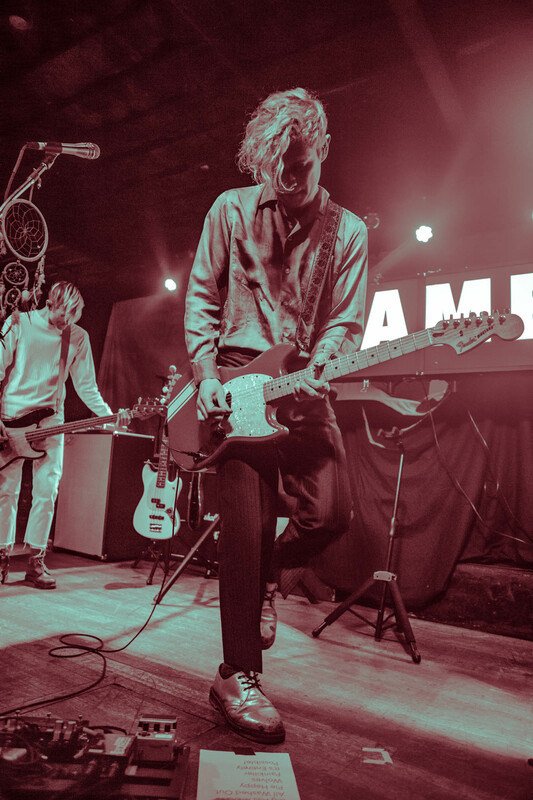 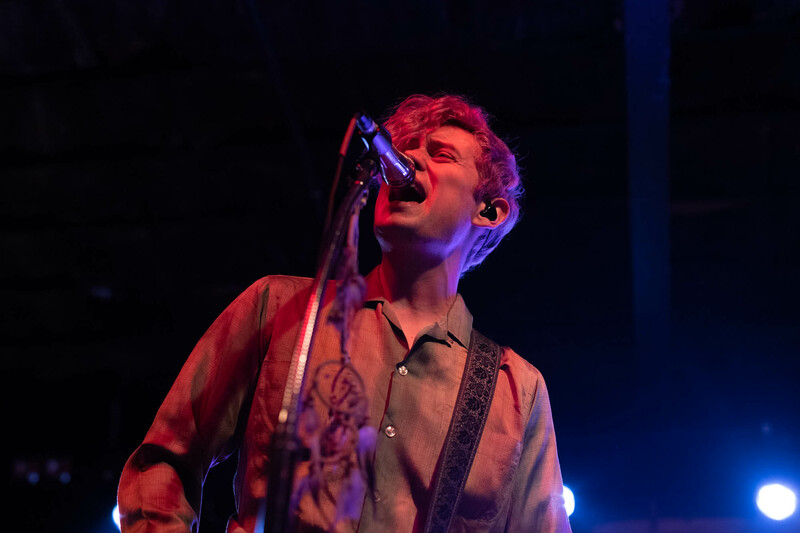 Machineheart released their debut album ‘People Change’ last month and their soulful tunes had everyone at Bottom Lounge swooning. 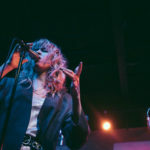 Lead vocalist Stevie Scott captured everyone’s attention the moment she sang. 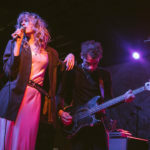 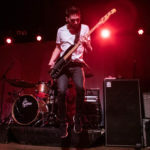 Her presence was graceful as she would glide across the stage to her bandmates; Jake Randle (bassist), Carman Kubanda (guitar) and Harrison Allen (drummer). 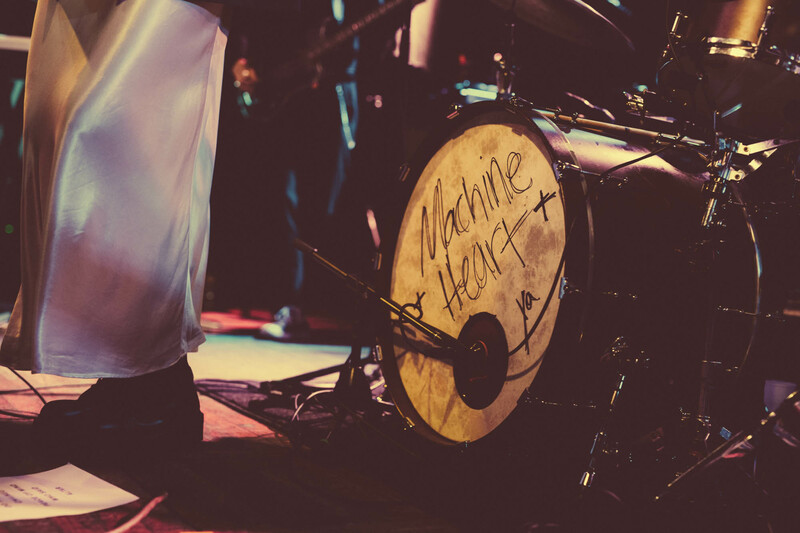 Machineheart is a band that we want to keep our eyes on, and so should you. 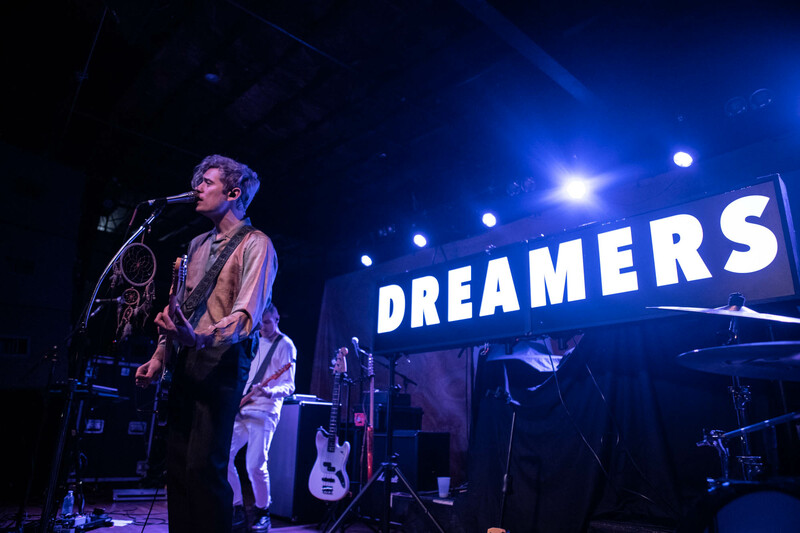 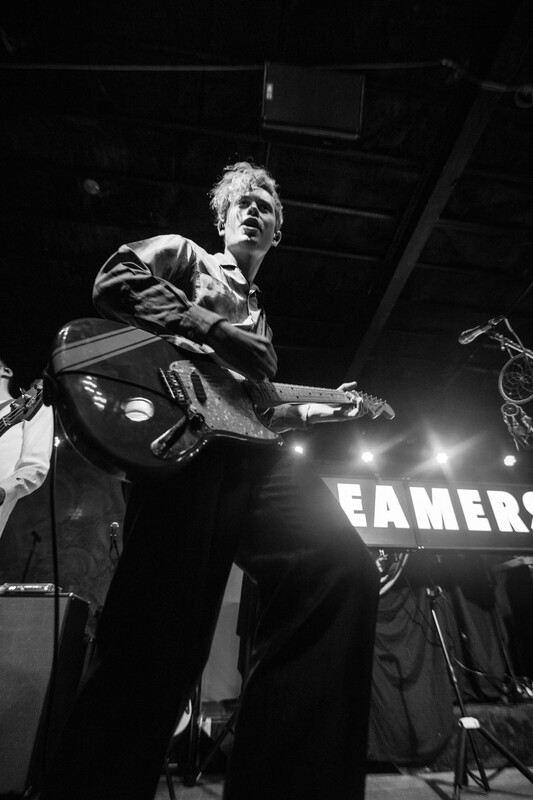 The pop trio Dreamers definitely came to play as they had the crowd jumping and screaming. 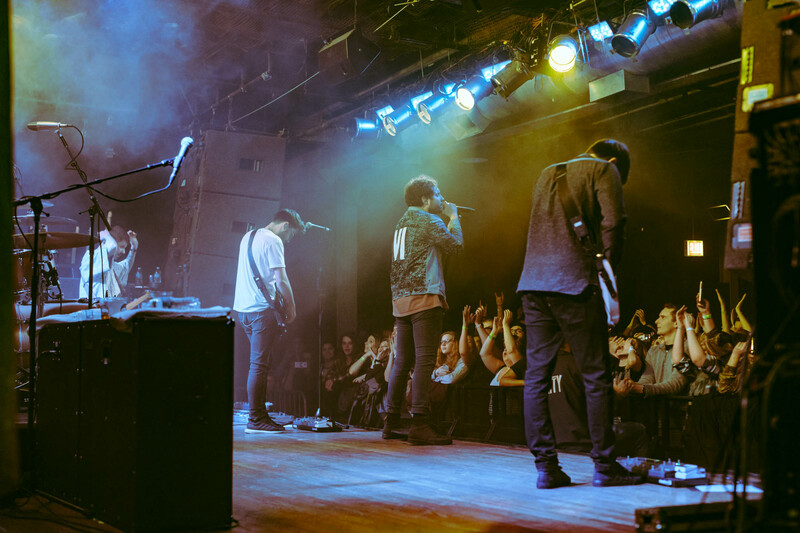 These guys have been busy touring and their fanbase has a special place in their hearts for them. 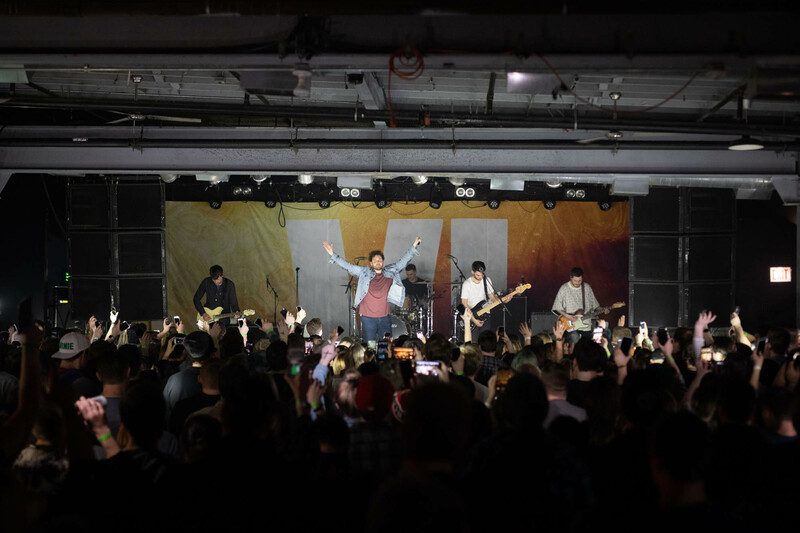 The group made of Nick Wold, Nelson, and Jacob Lee Wick have been turning out plenty of singled and EPs to keep fans busy dancing away. 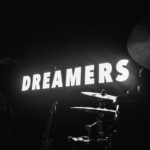 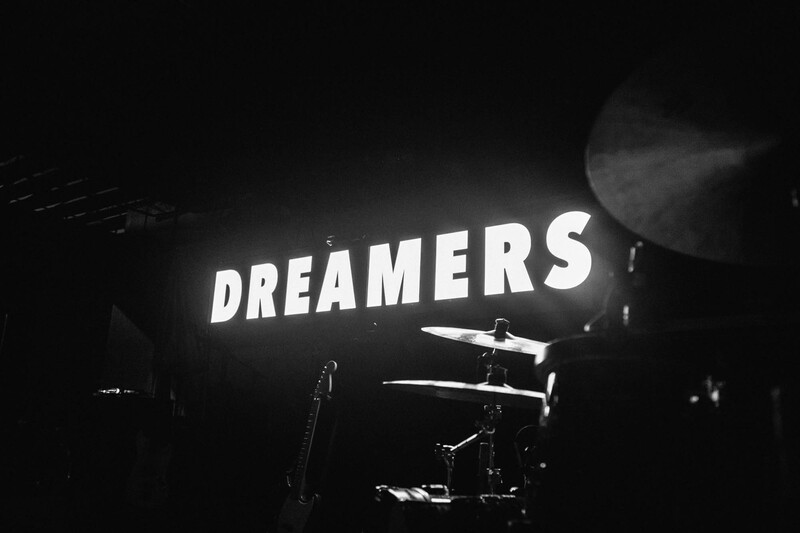 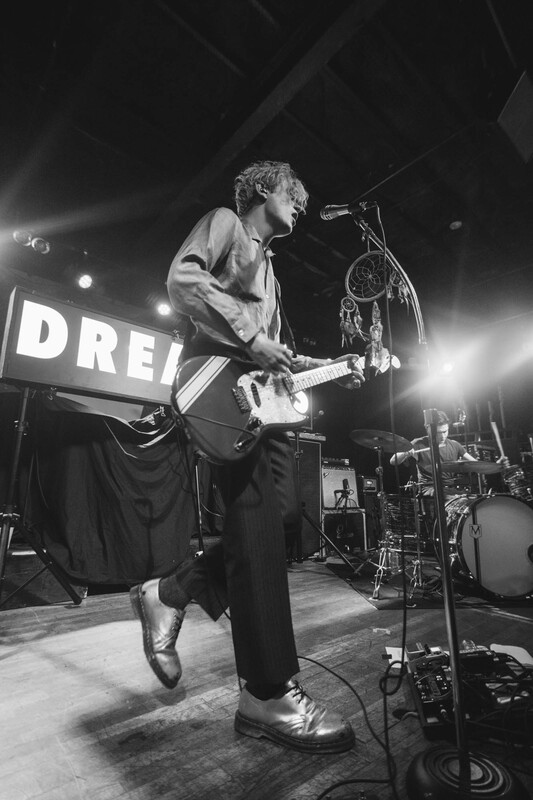 Tonight was no exception to that same energy that Dreamers has on a crowd. 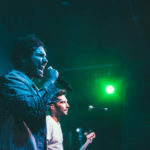 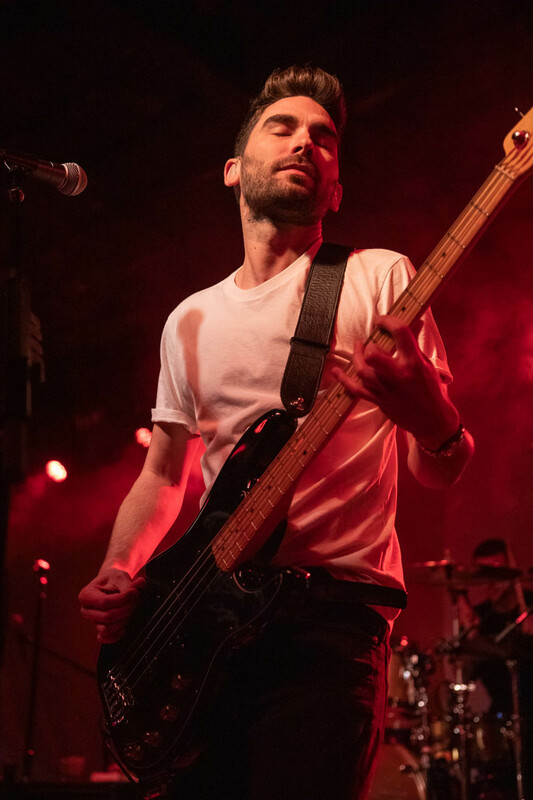 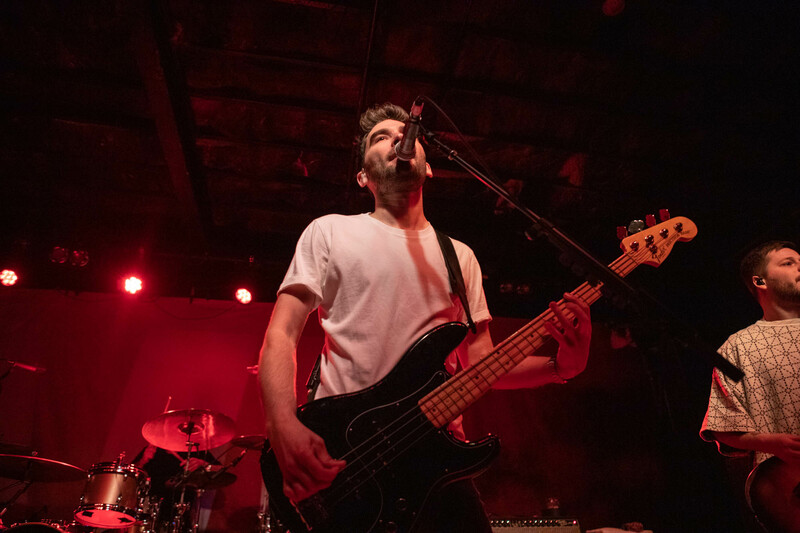 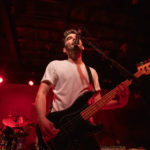 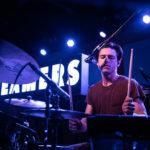 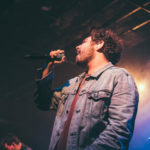 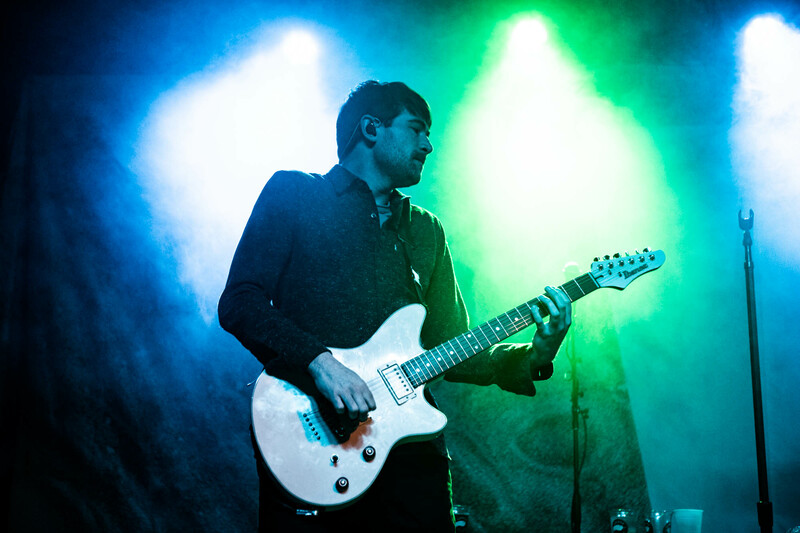 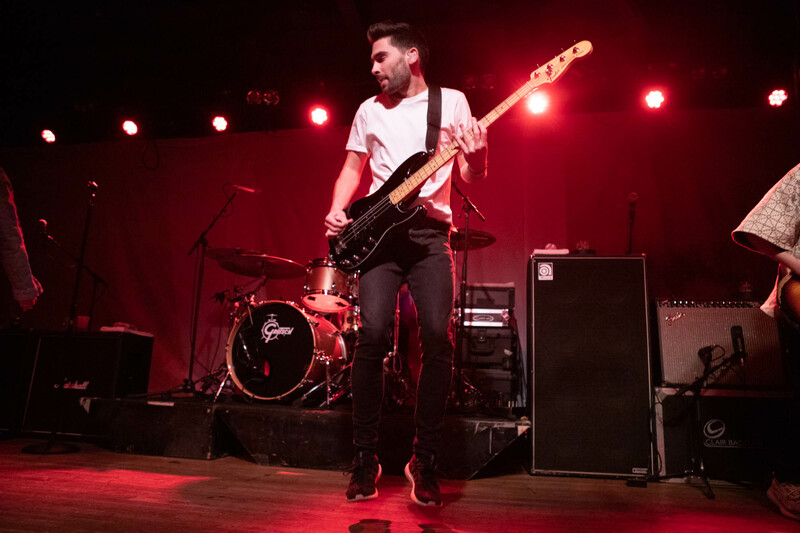 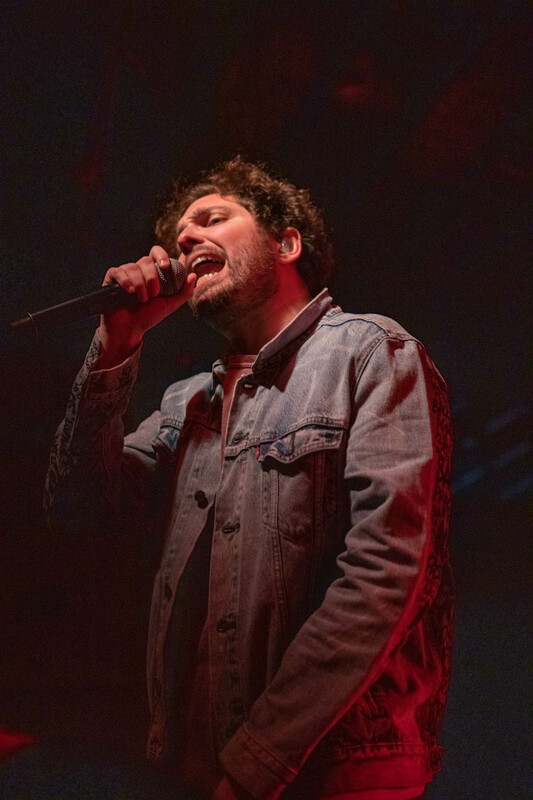 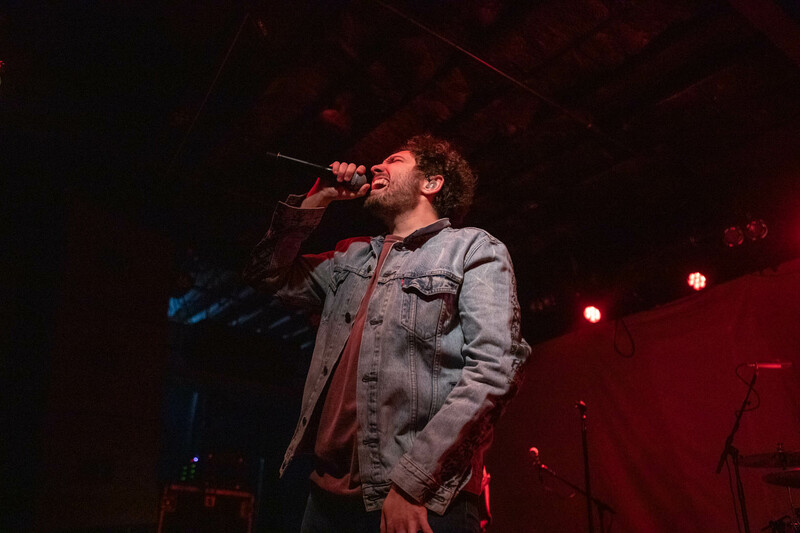 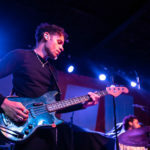 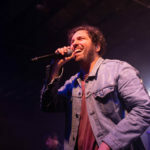 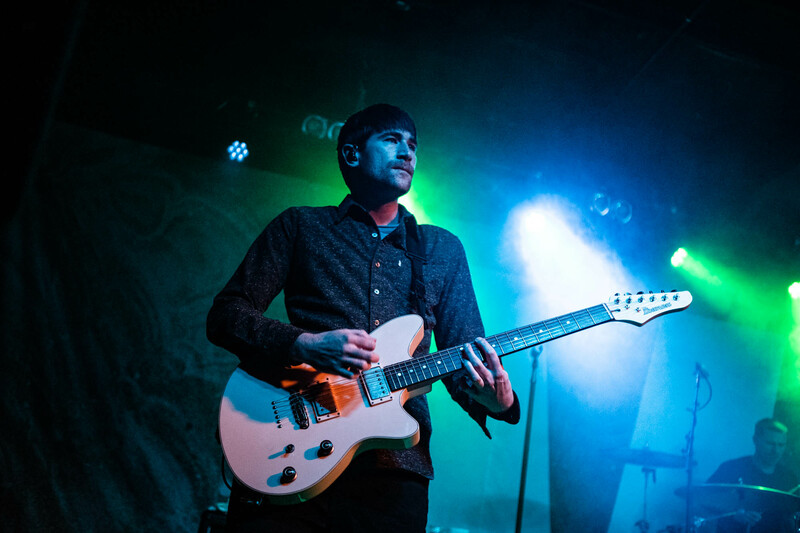 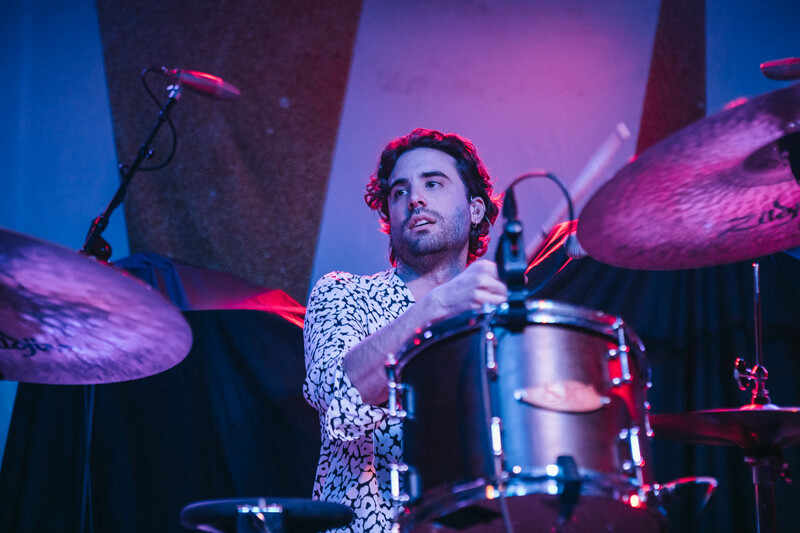 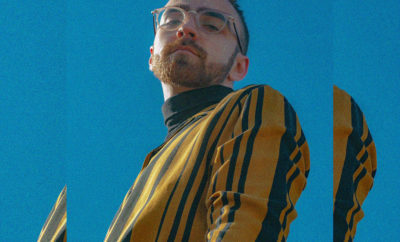 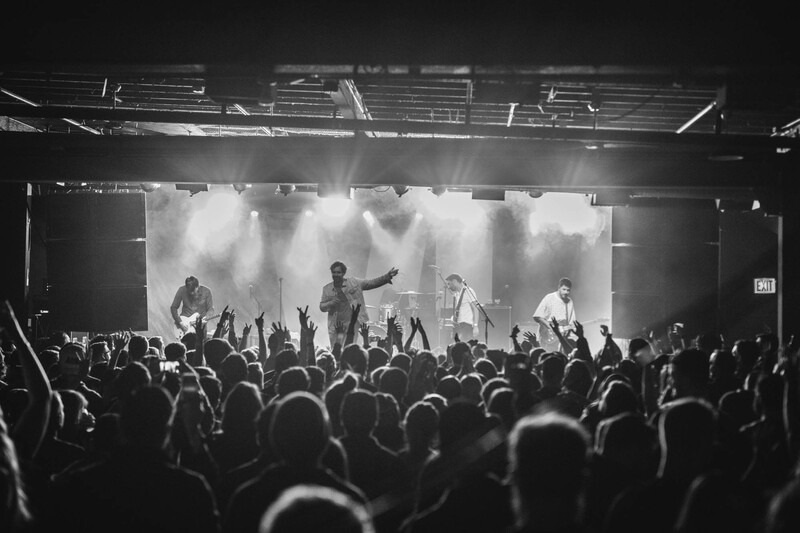 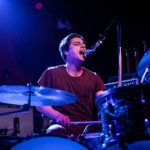 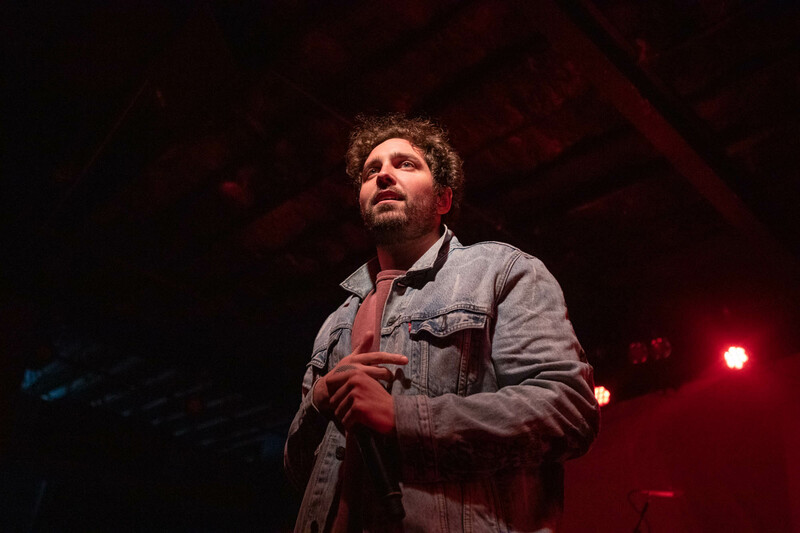 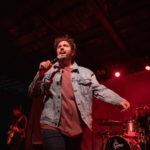 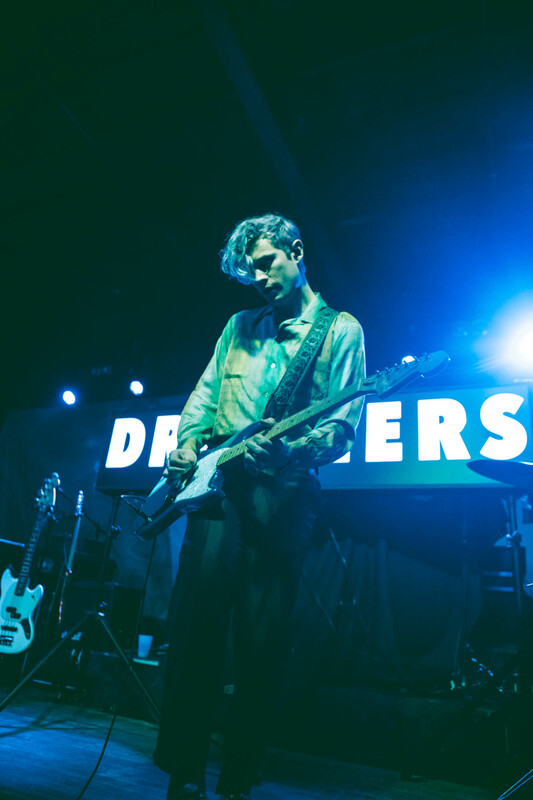 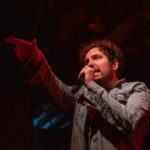 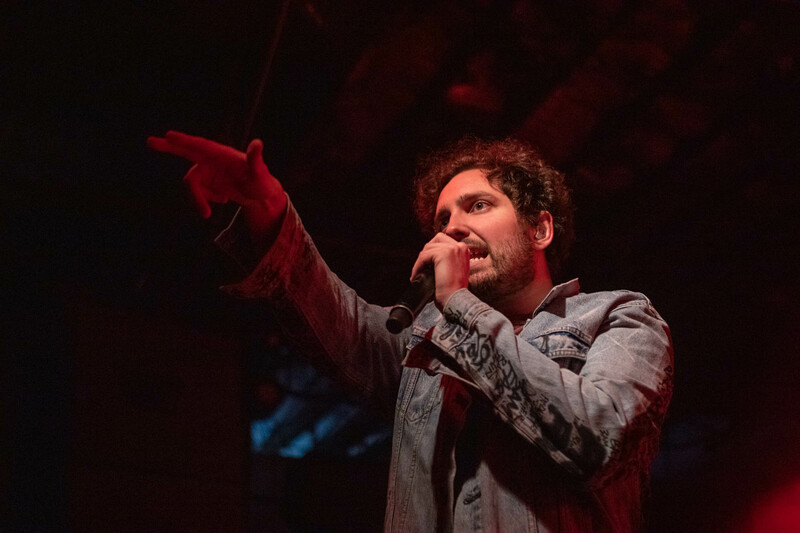 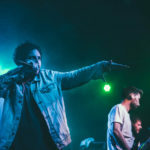 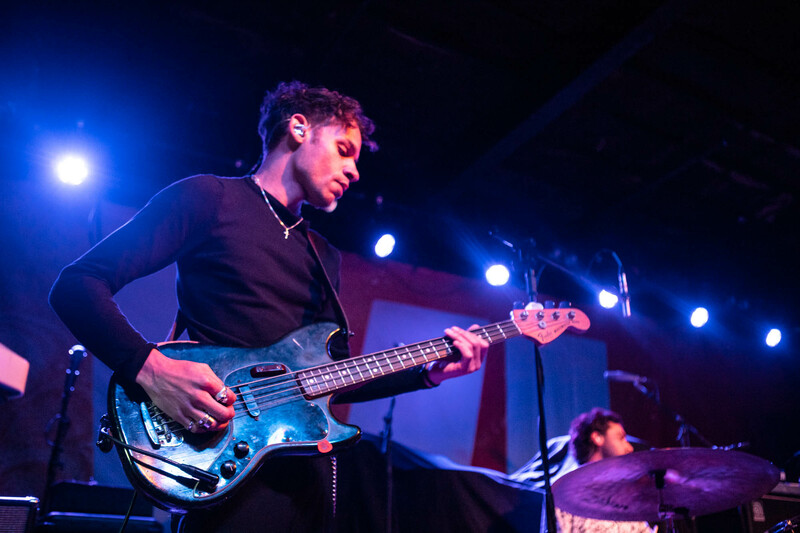 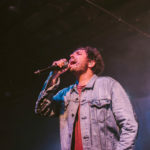 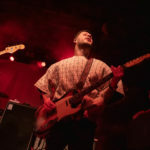 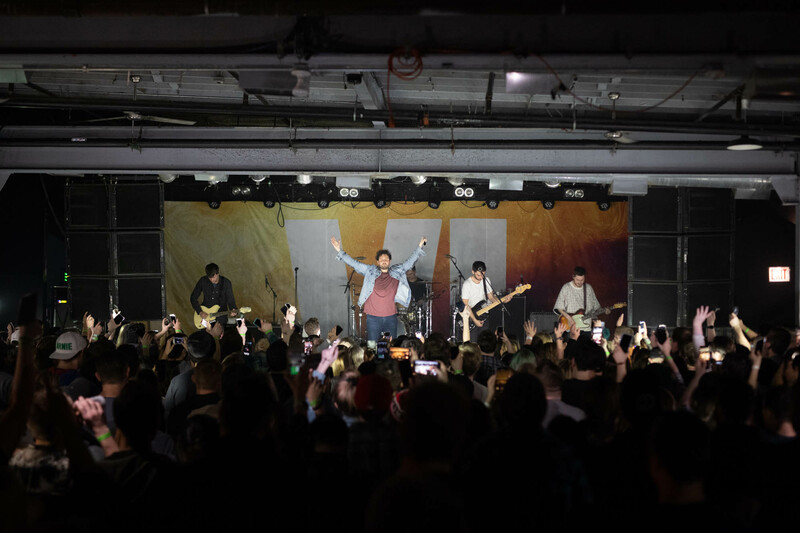 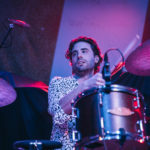 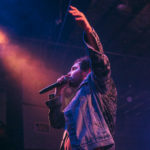 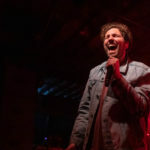 YMAS released their latest album ‘VI’ in 2018 and has drawn attention from the rock scene back to them. 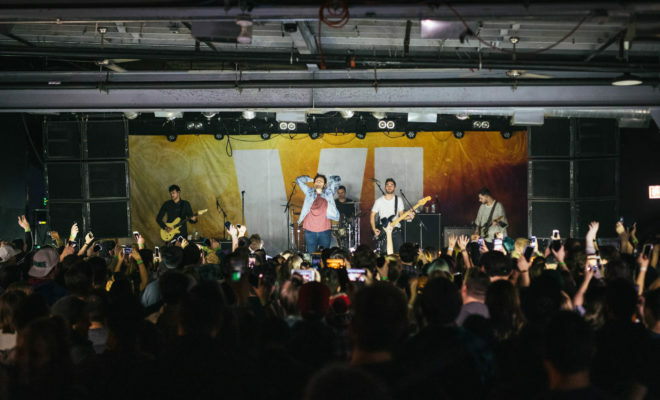 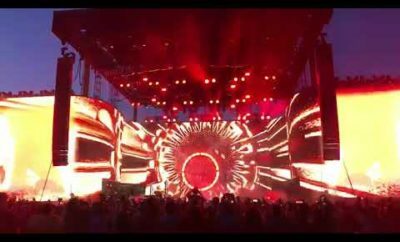 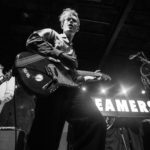 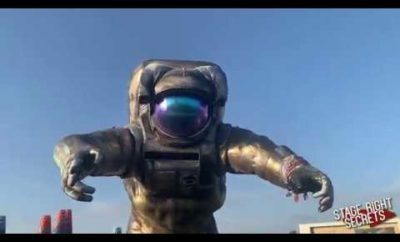 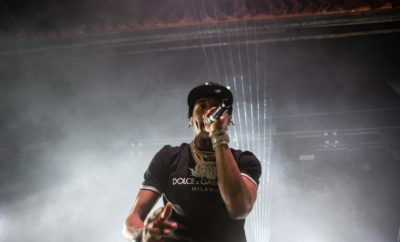 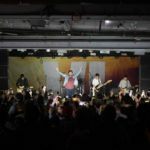 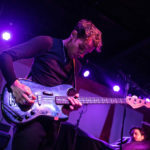 With the new album, the band has finally made their way back to Chicago and fans welcomed them back with open arms and a good time. 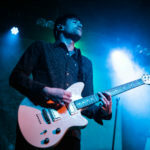 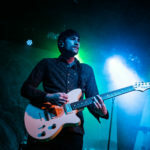 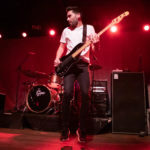 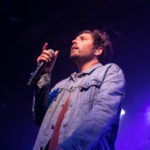 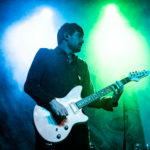 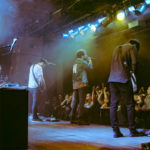 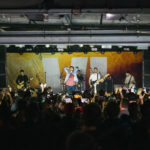 YMAS’ set included classic hits from their previous albums like ‘Hold Me Down’, Cavalier Youth, and ‘Sinners Never Sleep’. 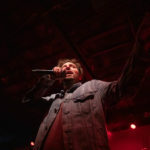 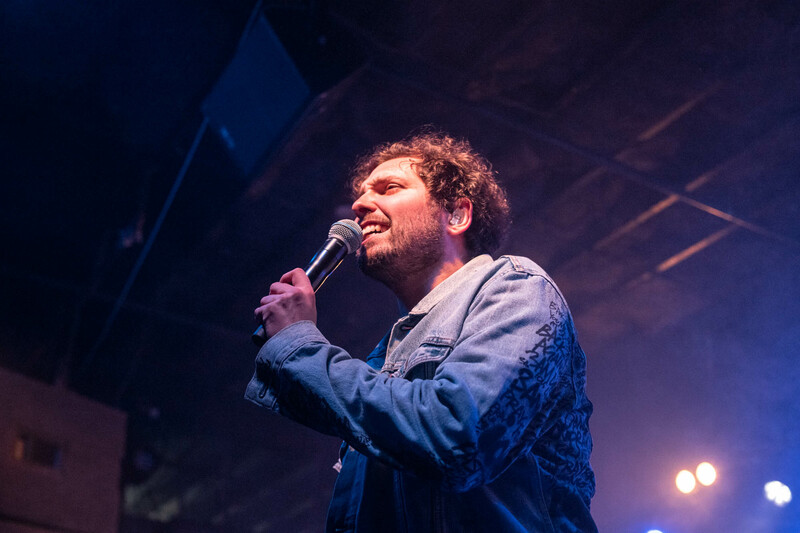 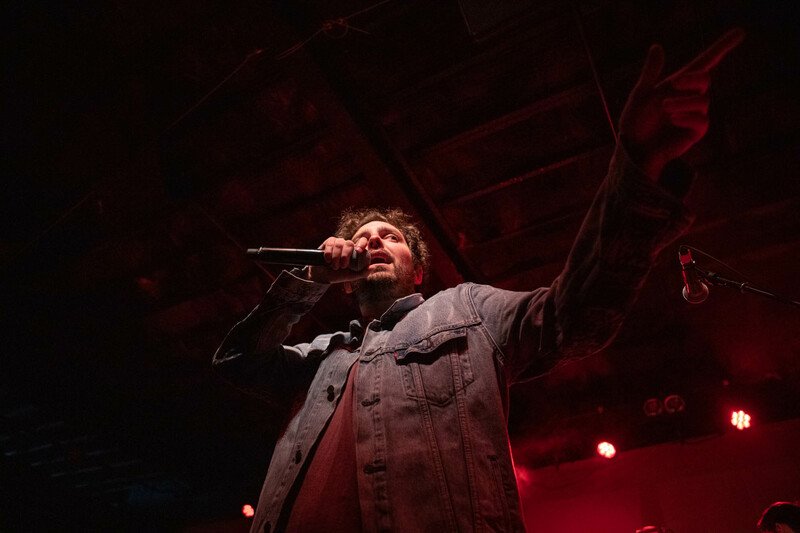 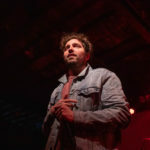 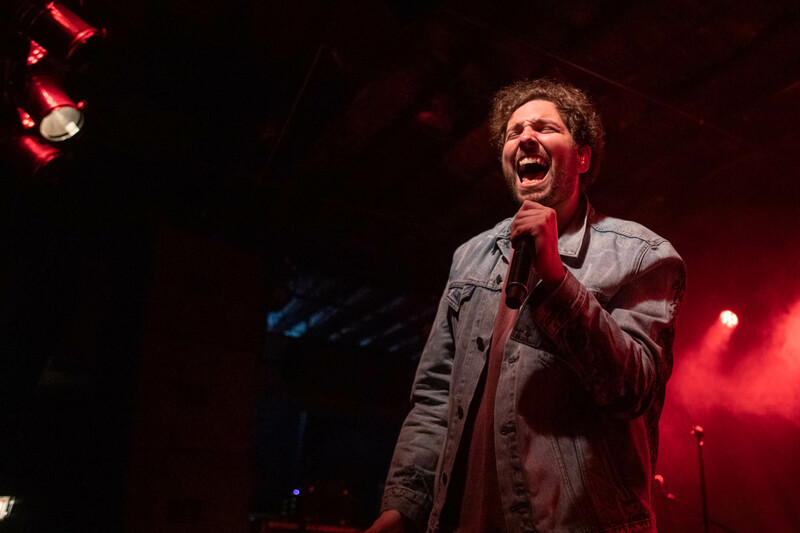 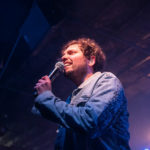 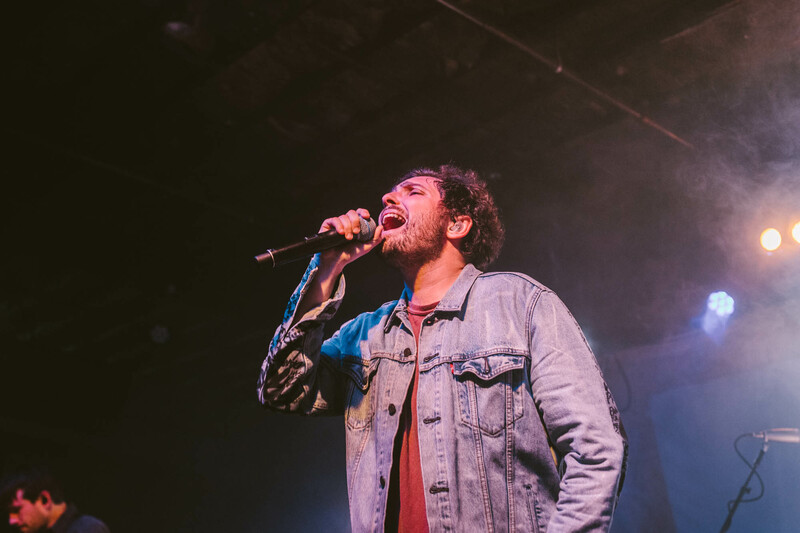 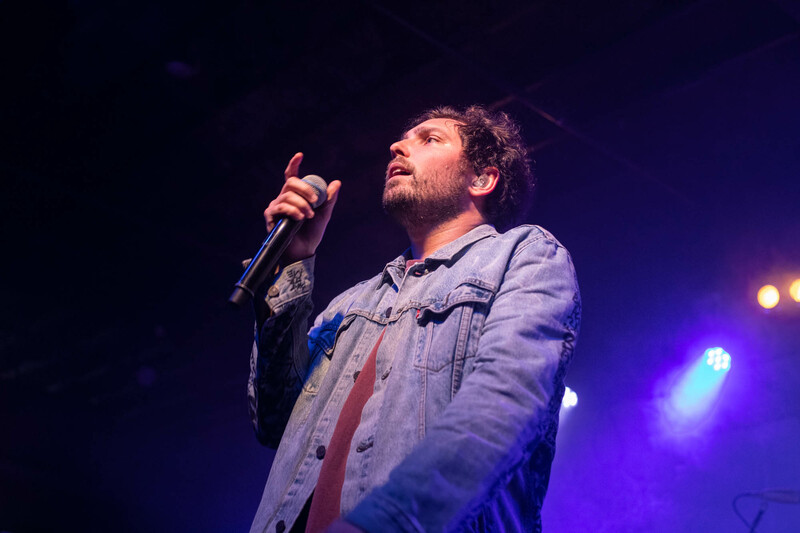 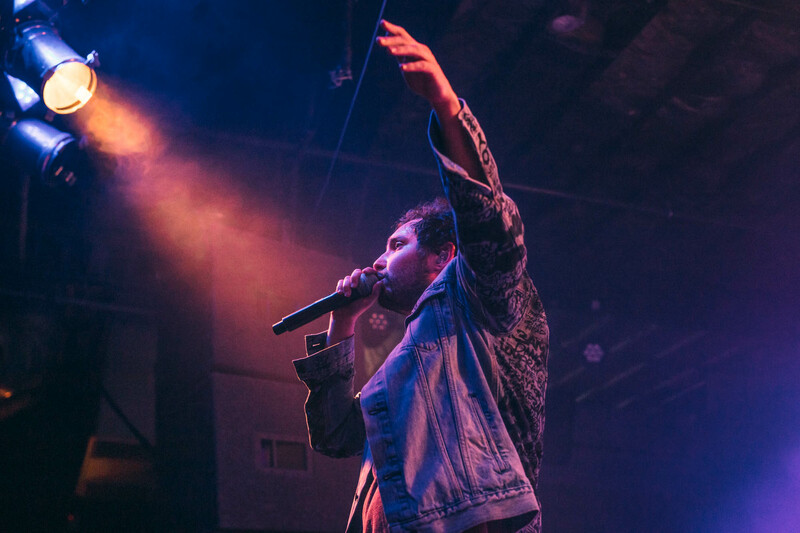 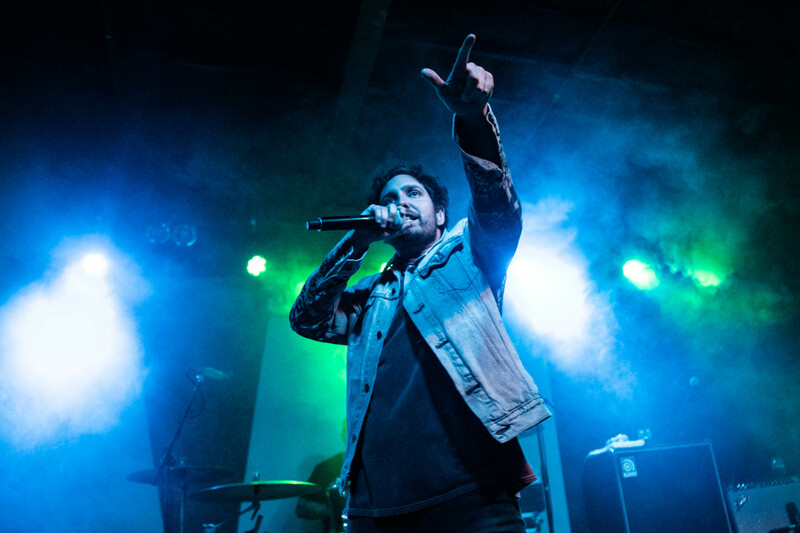 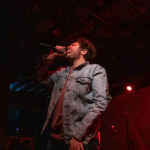 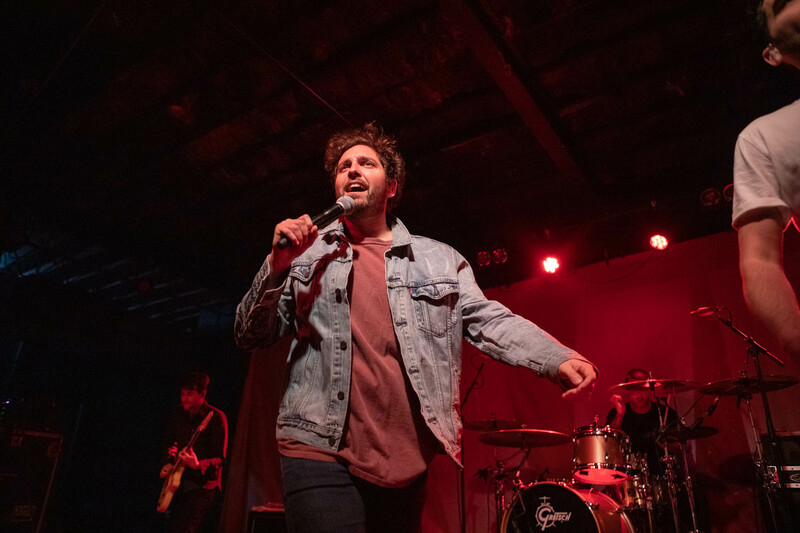 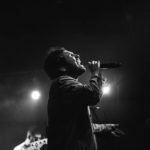 Josh Franceschi, lead vocalist, has an energy as he jumps across stage and pouring every ounce into to the show. 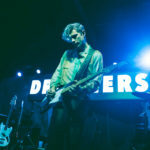 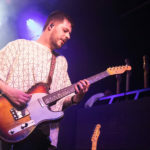 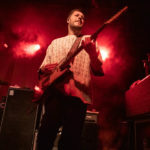 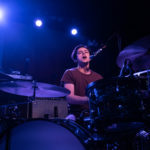 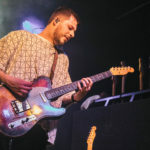 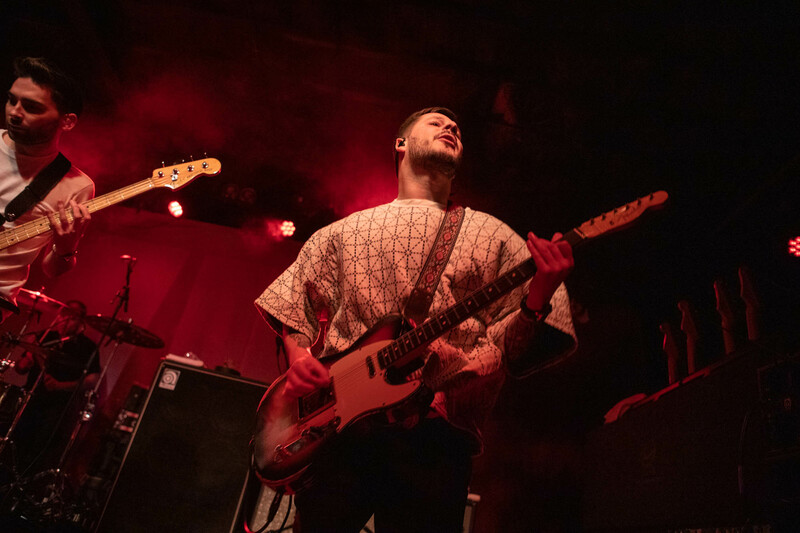 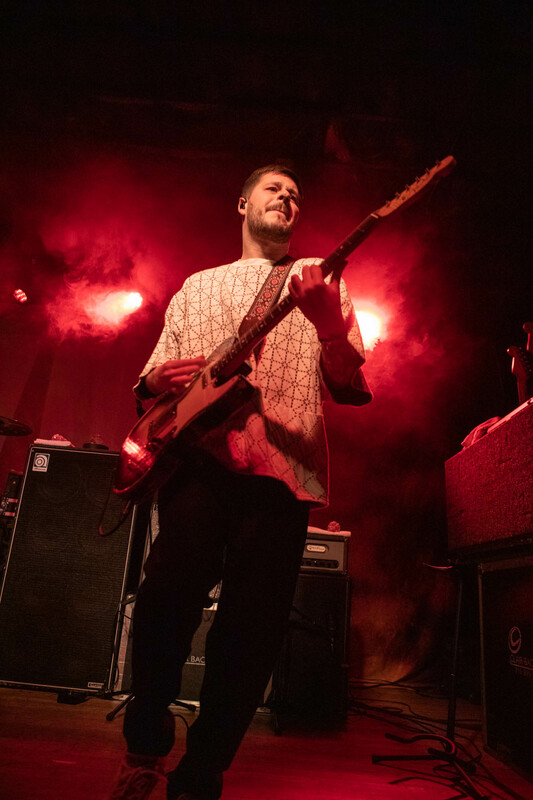 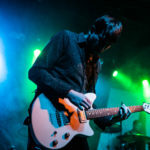 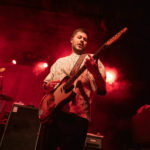 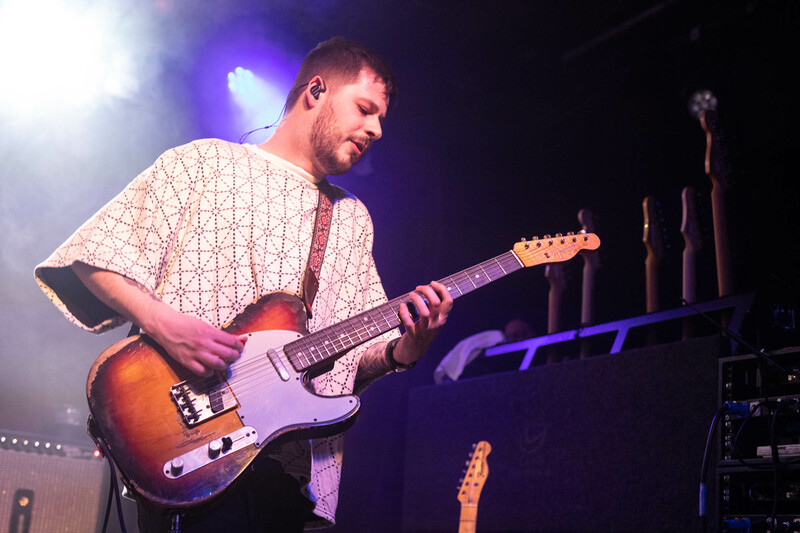 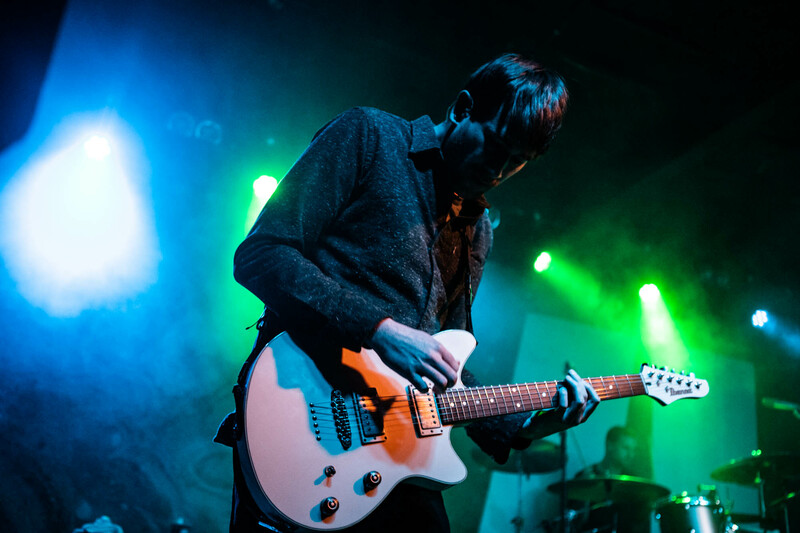 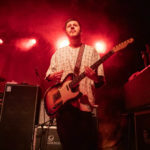 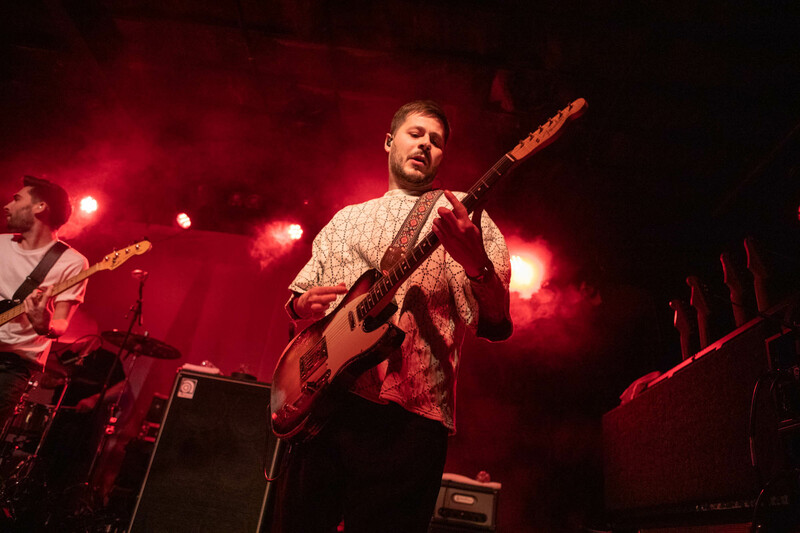 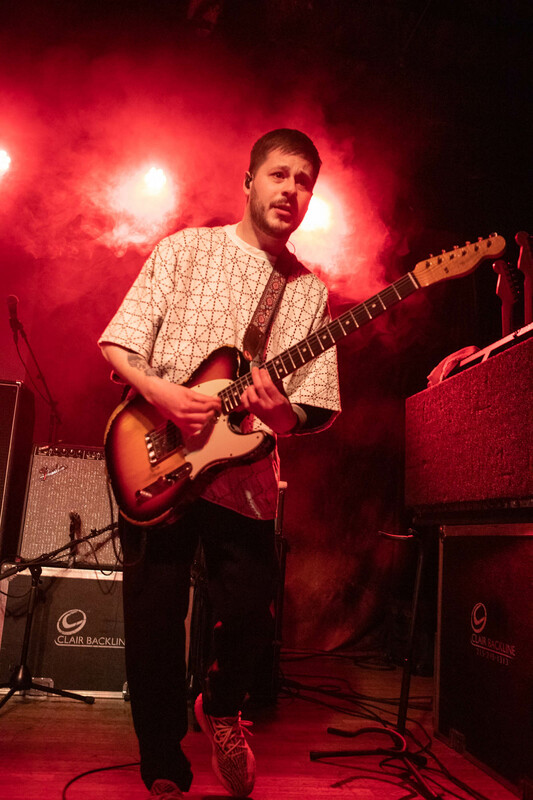 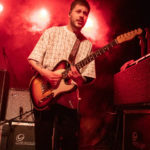 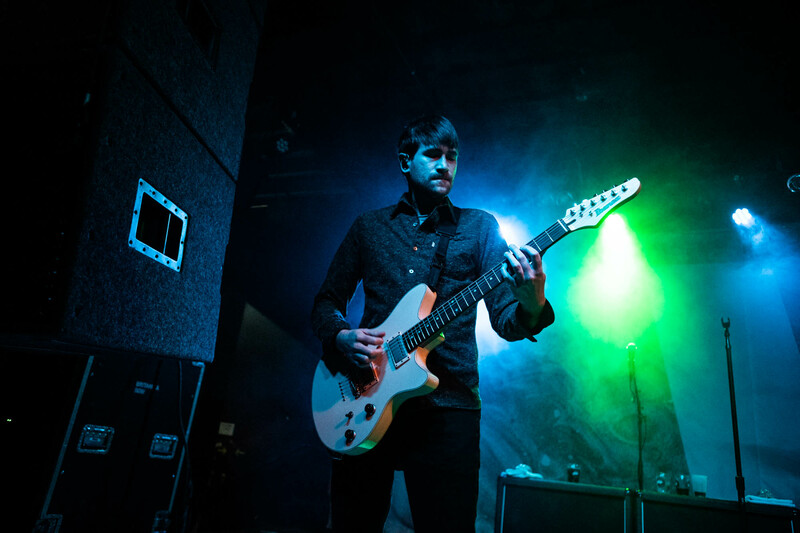 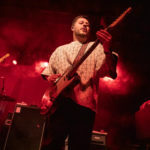 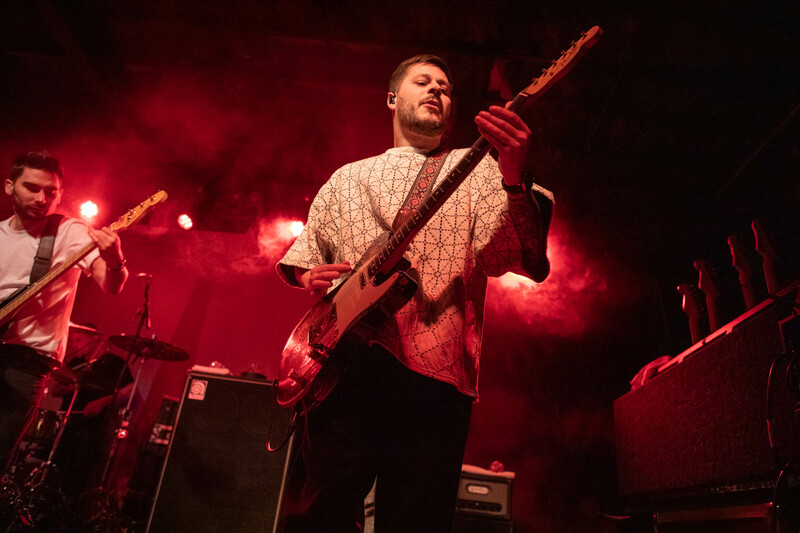 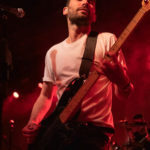 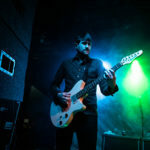 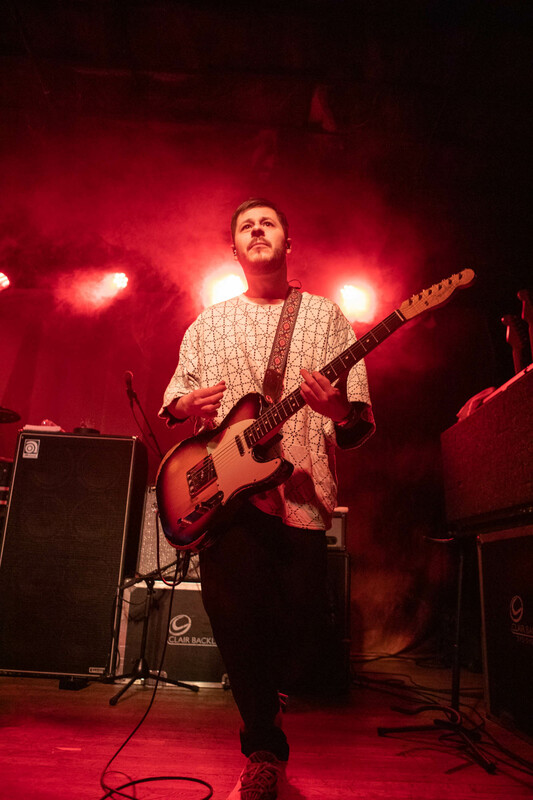 Alongside his fellow bandmates: Max Helyer (guitar), Chris Miller (guitar), Matt Barnes (bass), and Dan Flint (drums); it’s a hell of a show to see. 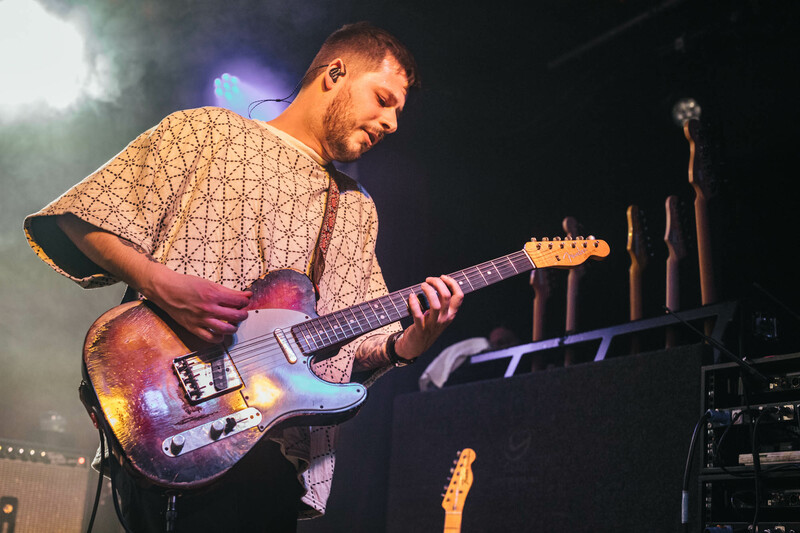 The most magical part of the night was the way that Josh stood in middle of the stage as the entire venue was lit only by everyone’s cellphones and the crowd sang back to the band. 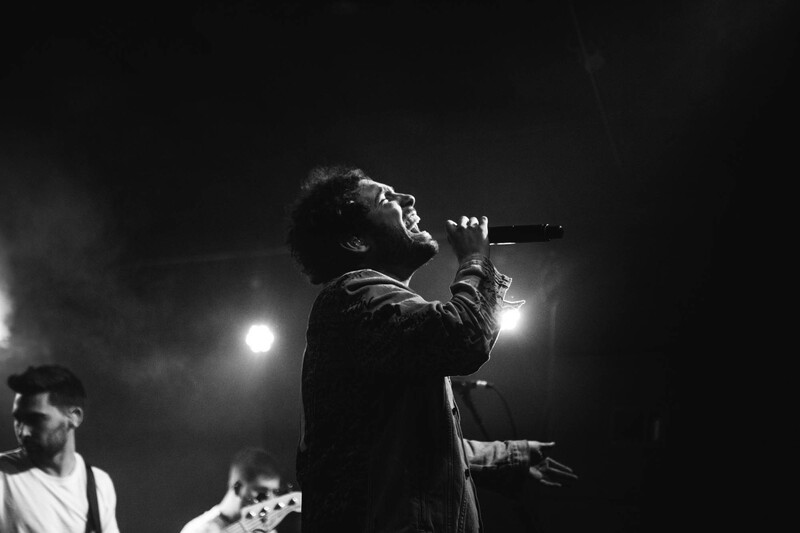 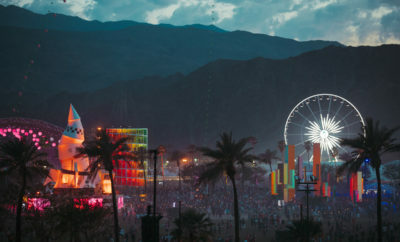 A moment that pure bliss and the prove that music is magic. 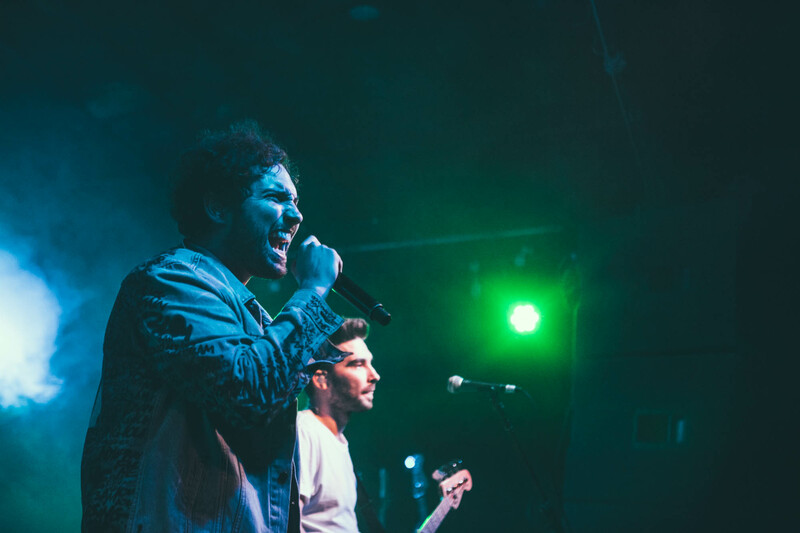 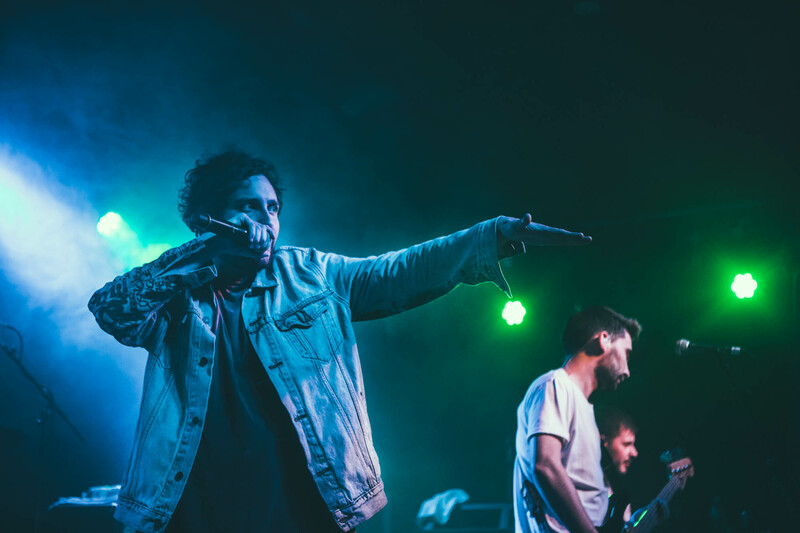 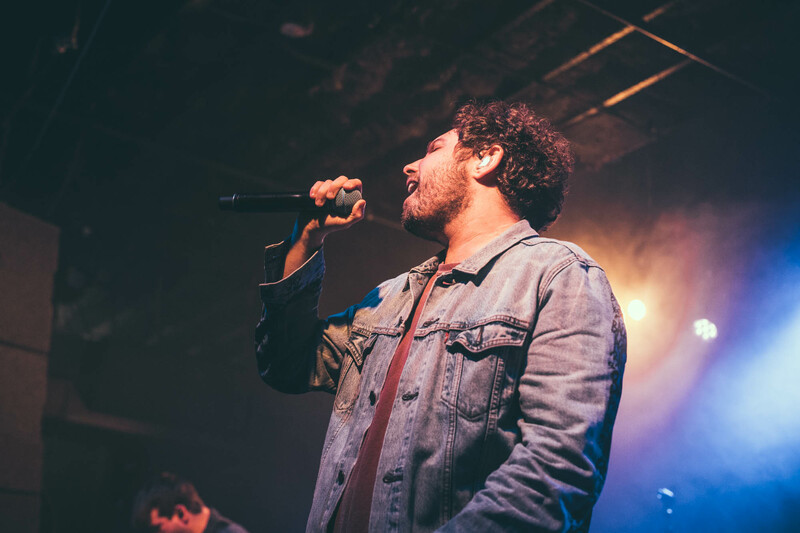 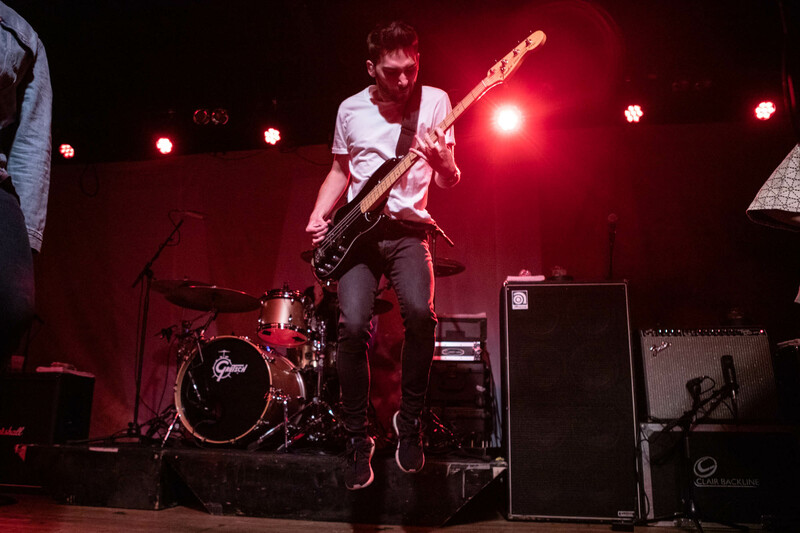 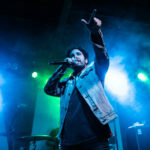 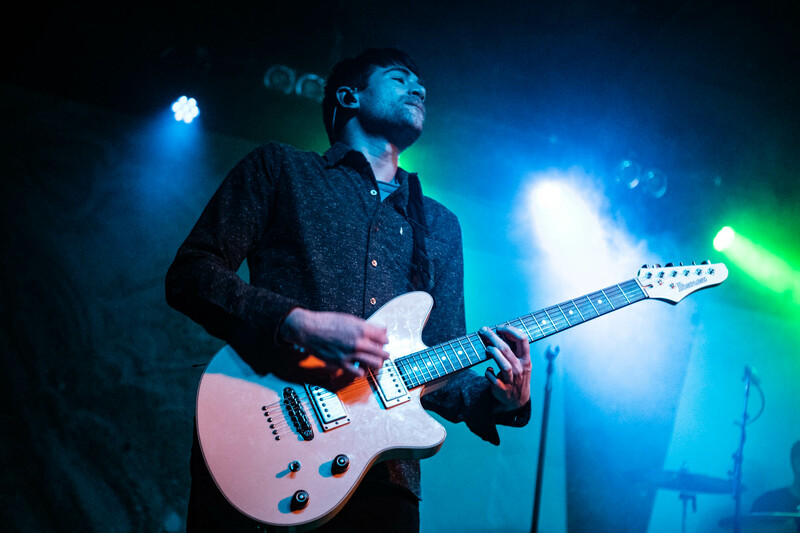 We can’t wait for the next time YMAS is in town and hope to see them sooner than later. 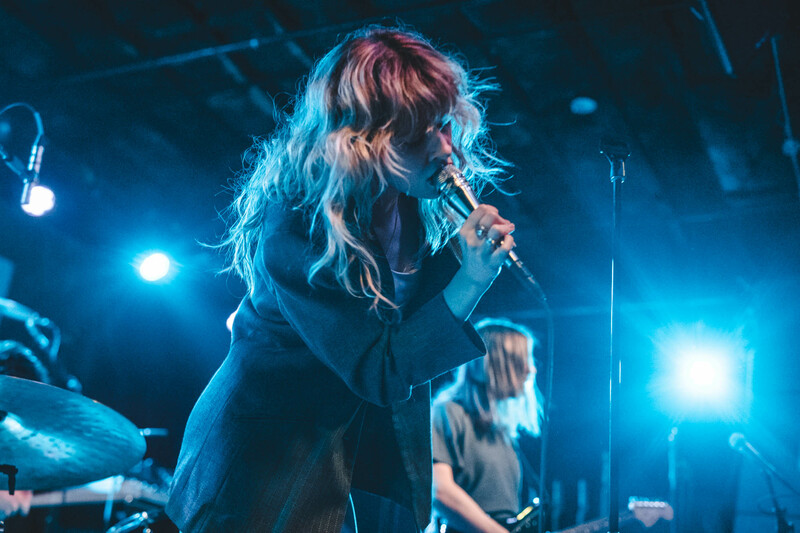 Ellie Goulding Releases New Single For 50 Shades Of Grey Movie!